8/1 – Tall frame, long loose levers. Bat speed and great path showed power to CF and RF. 8/1 -Sure handed SS with good feet and a plus arm. Made the play on the run well. 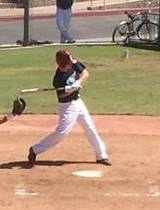 At the plate showed plus bat speed and power to the pullside. 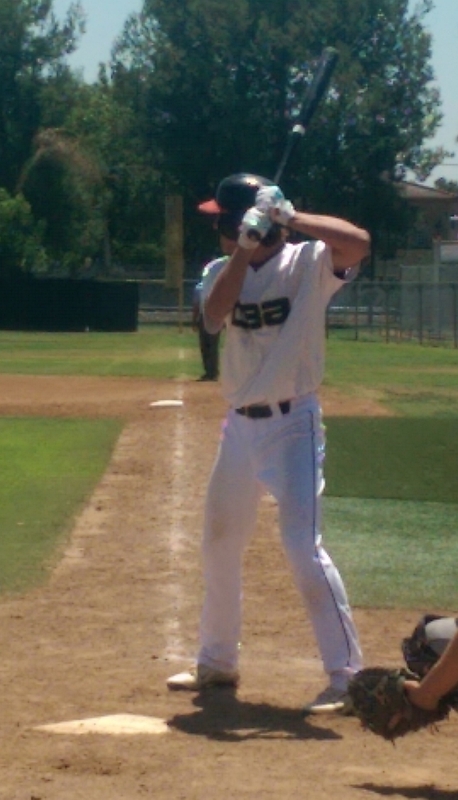 8/1 – Showed plus athleticism and range at 2B. 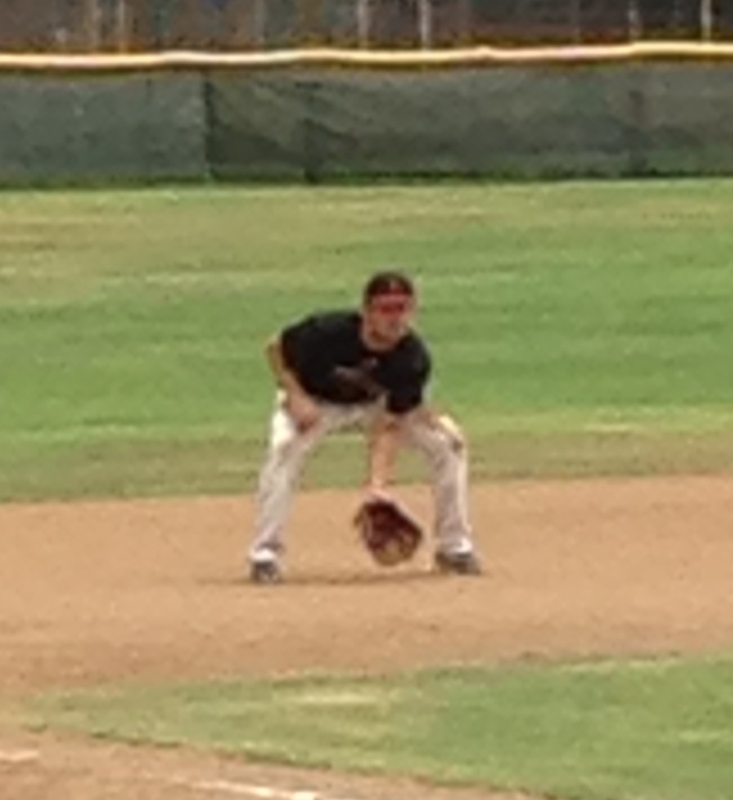 Plus arm can play left side infield. 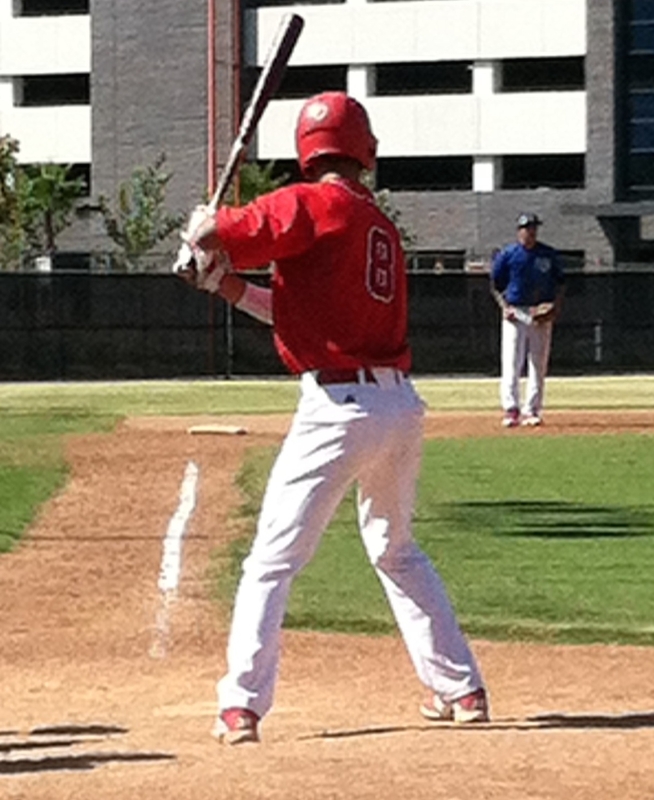 At the plate showed gap power and plus speed. 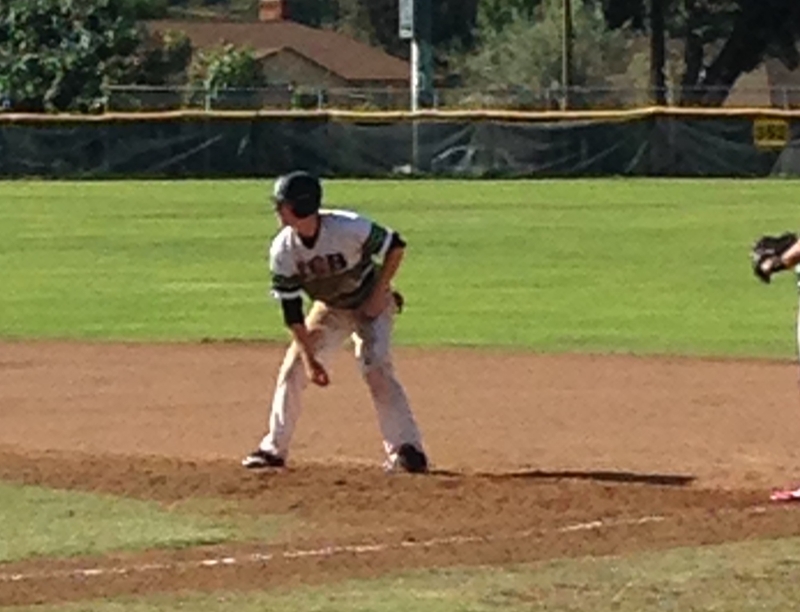 Aggressive and heady baserunner, took extra bases multiple times. 7/31 – Physical athletic frame, defensively provides nice low target, strong accurate arm to coincide with quick release. Pop time ranged from 1.9-2.02. 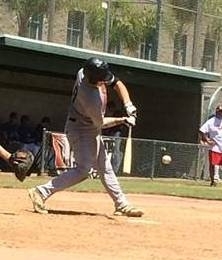 Offensively, aggressive swing stays inside well and flashes pull side power. 7/31 – Tall, lanky frame. 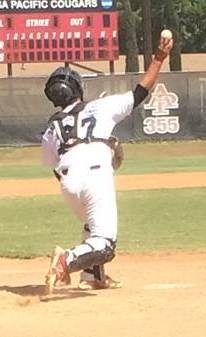 Long loose arm swing, clean separation, in line direction, free and effortless delivery. Fastball has late life with slight run and sat between 85-87. CB is sharp 11/4 rotation able to throw in all counts. 8/3 – CG shutout, pitches to contact, good down hill plane, in line direction, effortless delivery, Throws all pitches for strikes. 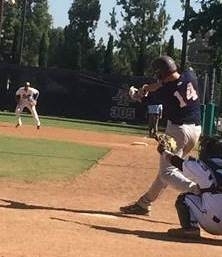 8/1 – Big, physical body, solid frame, long limbs, solid hands, sure fielder, gamer, good pop off the bat, stays through, plus foot speed. 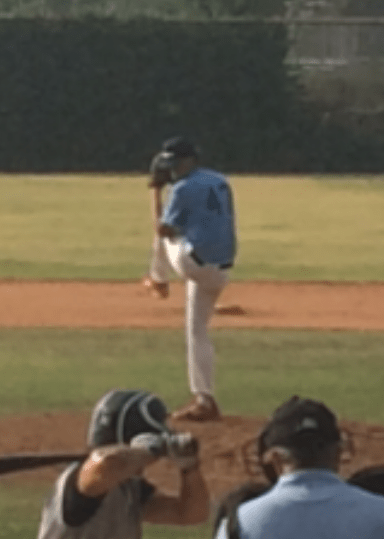 8/3 – Strong lower half and a good pitchers body. Short, quick arm stroke. 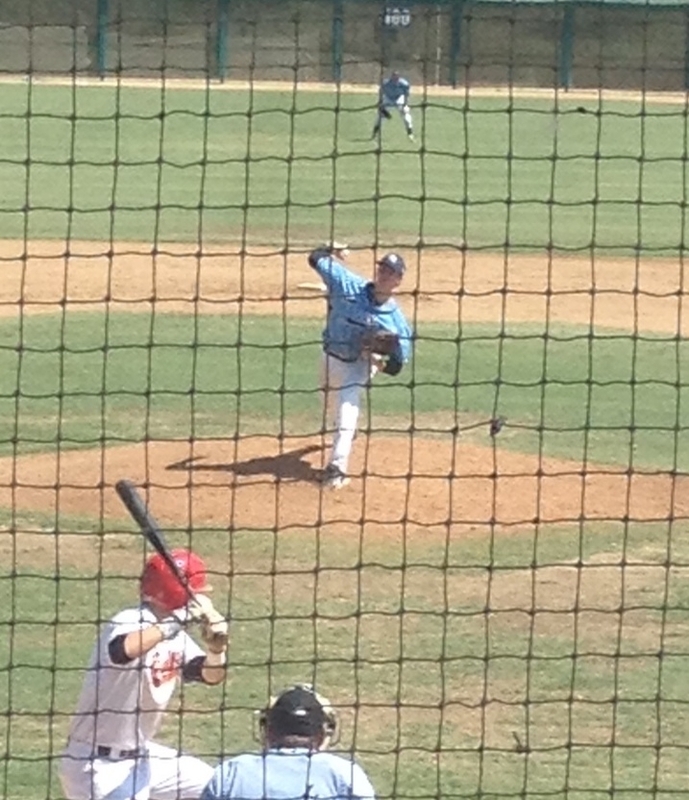 Showed a swing and miss slider in his second outing of the tournament. 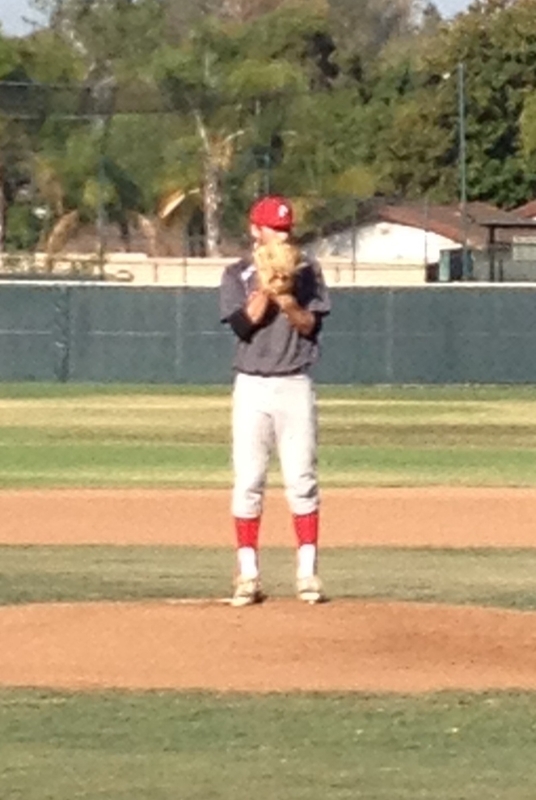 7 k’s in 4 innings. 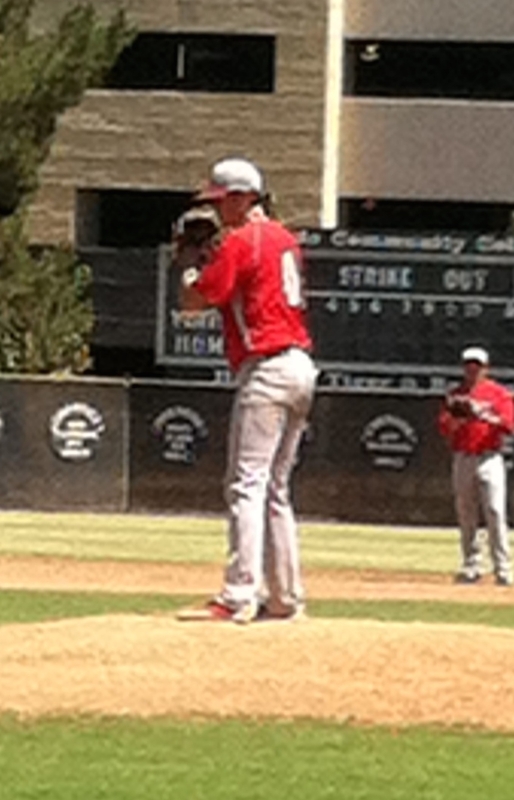 Worked with great tempo and attacked the strike zone with a good sinker slider combination. 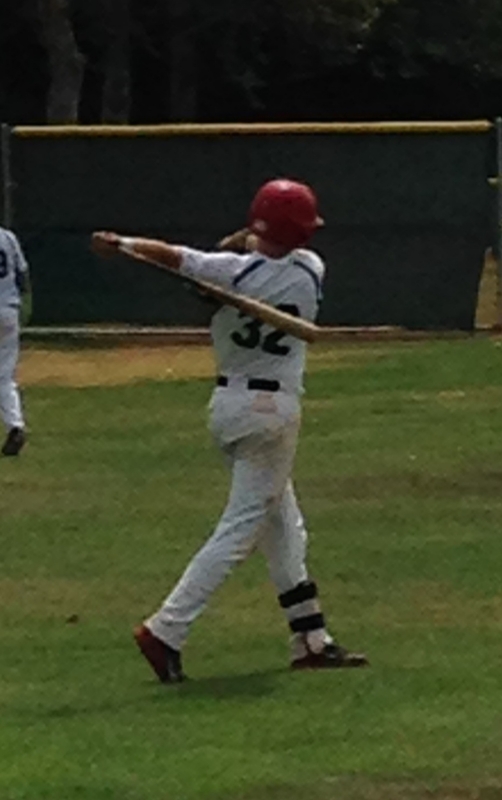 7/31 – Big strong frame, showed a short and direct bat path with good bat speed. Used the whole field and drove the ball to the opposite field gap.Gap power will turn to Homerun power in the near future. Plus potential and upside. 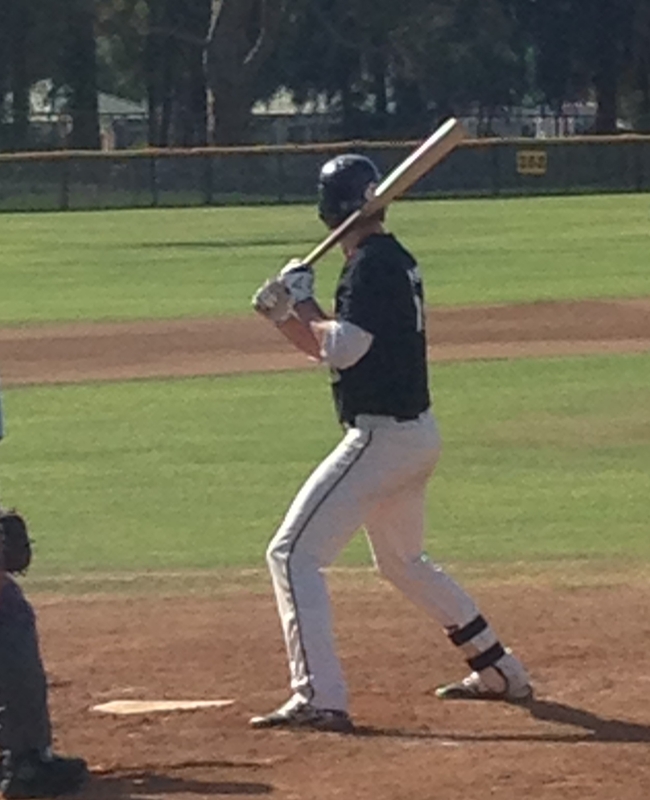 8/2 – Tall, lanky frame room to fill , short smooth stroke, stays inside, line drive type hitter, runs bases well. With added strength can build gap to gap power. 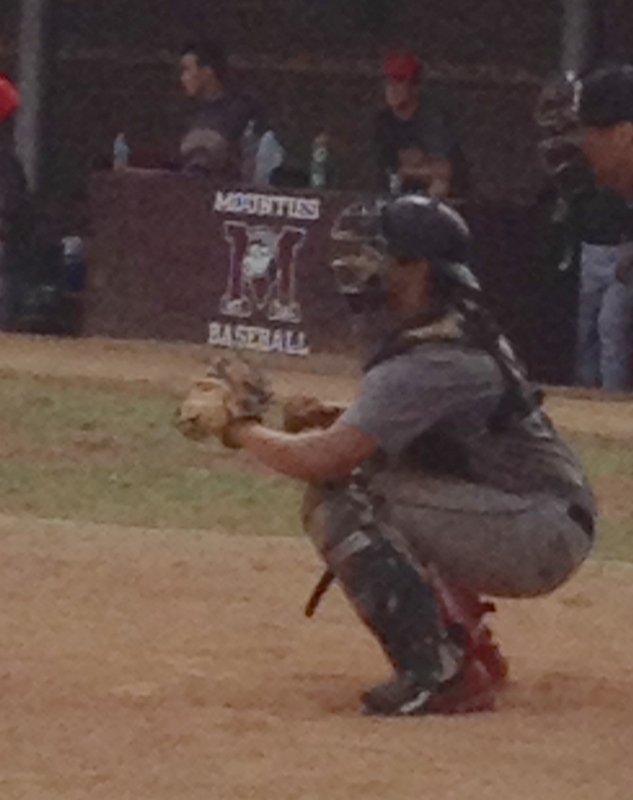 7/31/14 Athletic Catcher with soft hands and a strong lower half. 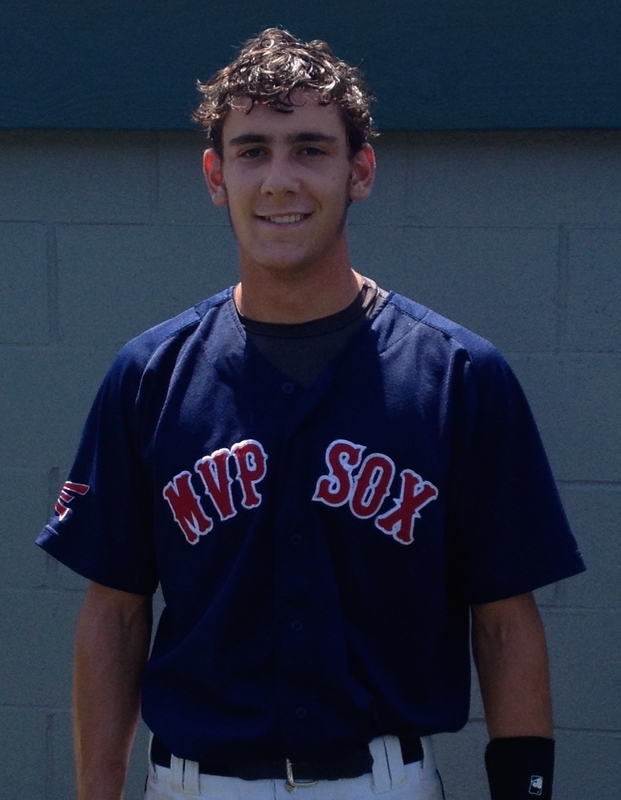 Showed ability to catch and throw with a consistent/efficient transfer, good feet and an accurate arm. Pop times 2.05-2.1 will improve as arm strength gets better. Plus receiver that handled the low pitch well and gave the pitcher a consistent low target. 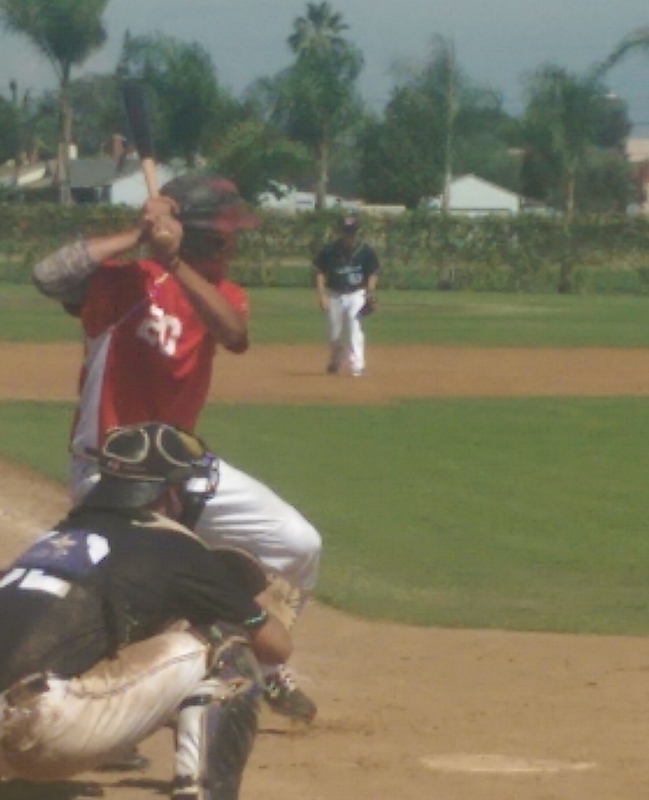 7/31/14 Good approach at the plate using the whole field. 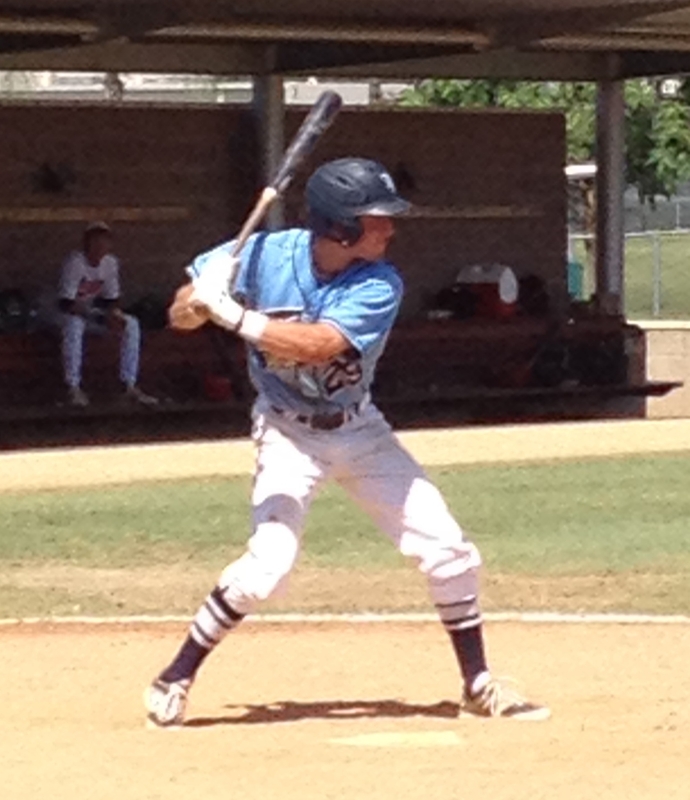 Showed a consistent load and launch position and an ability to barrel the baseball. 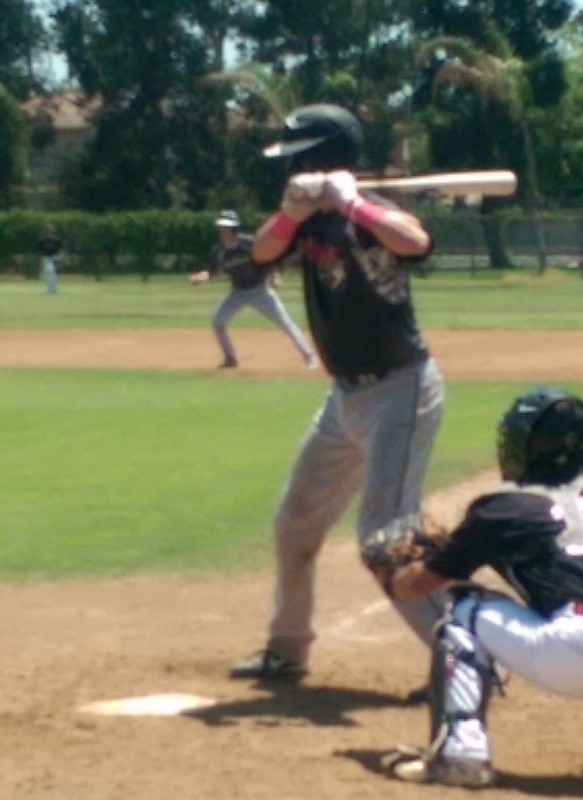 Made consistent hard contact/ line drive hits in two plate appearances. 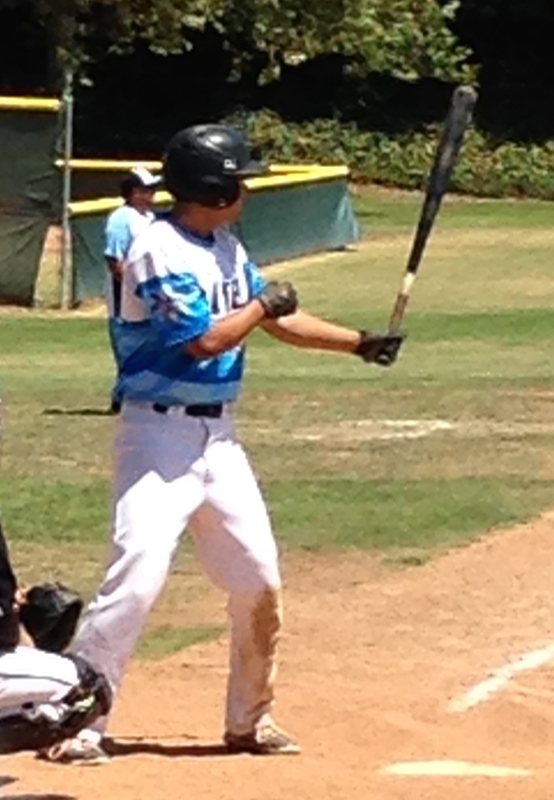 8/3 – Spark plug type of player, competitive at bats, good extension, with pull side loft, flat bat path. Moves well around bases. Covers ground, works to get behind ball. Quick actions and good recovery. 8/1 – Big strong body with power potential. Flashed bat speed and good pitch recognition. 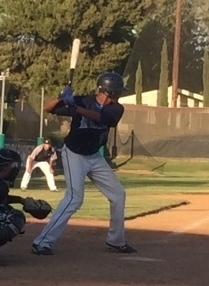 2015 OF/RHP Roger Ingram, Jr.
8/4 – Small athletic frame, soft hands, works under ball, good actions, blocks well, smothers baseball, quick efficient footwork,pop time will increase with strength. Short compact stroke, quiet head, hard contact line drive approach. 7/31/14 – Difference maker on offense showed the ability to change the game with his legs and the short game. 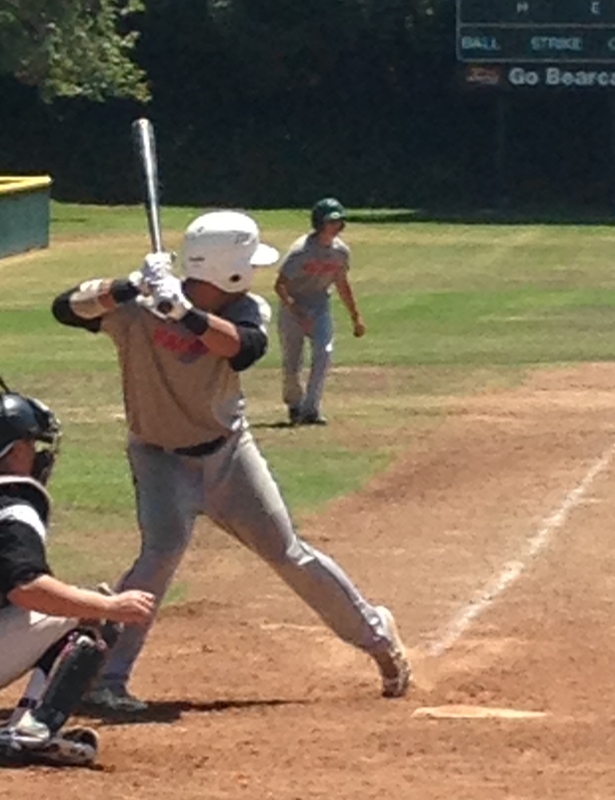 Ran a 3.9 to 1B on a base hit bunt. 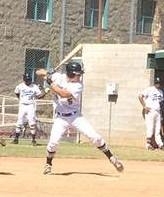 Also showed a short/direct line drive swing. 7/31/14 – Big strong Pro body. Showed a powerful and compact swing for a big kid. Ball jumps off his bat and showed big home run power to the gap. Good athleticism, soft hands and a plus arm at 3B. Middle of the lineup power bat. 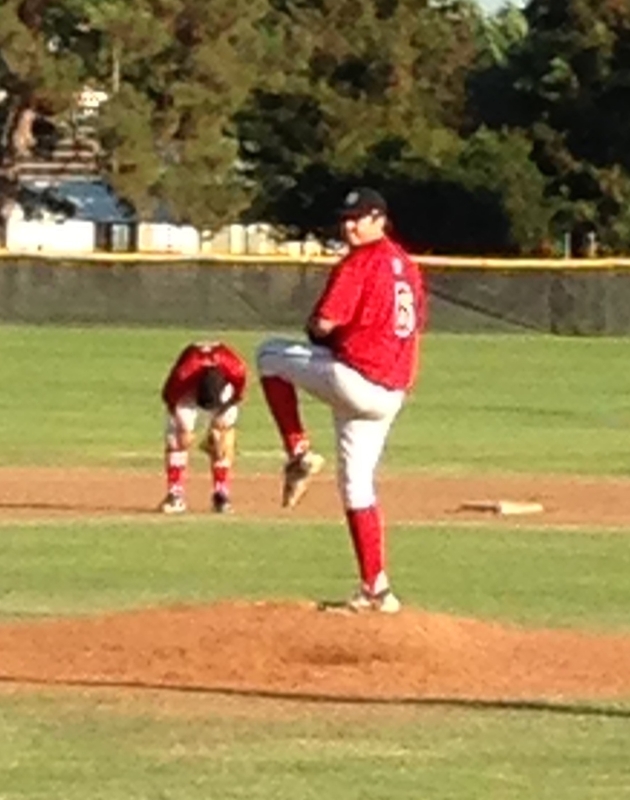 7/31/14 – Competitive RHP that worked quick and threw a lot of strikes. Fastball 82-86 with some late sink and a swing and miss slider 74-75. Also showed command of a Change up 70-74 with run and sink. 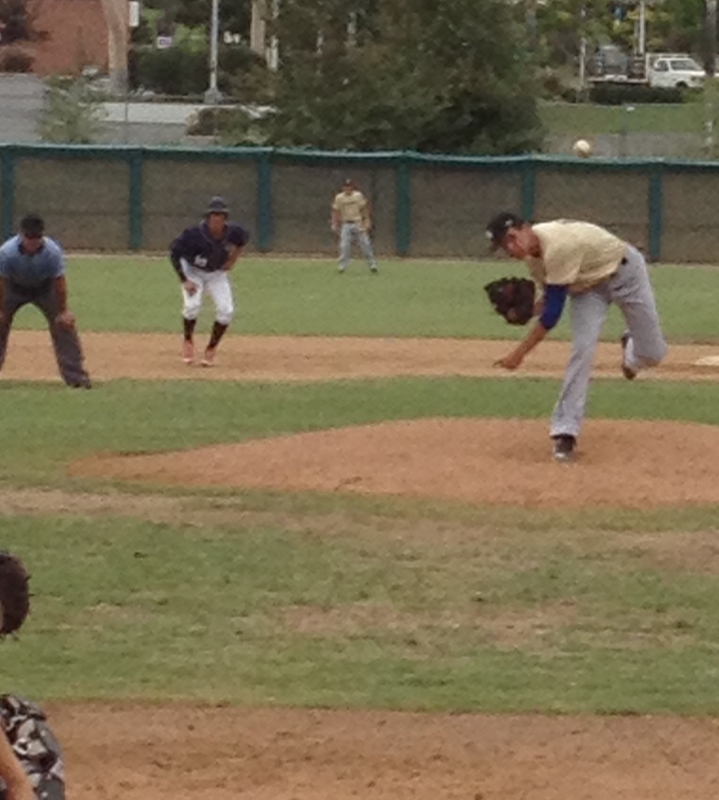 Threw from a 3/4 arm slot and repeated delivery with all three pitches. 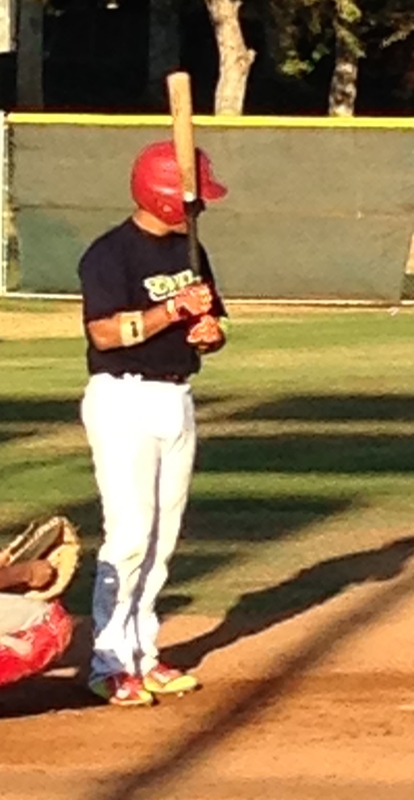 Very good athlete, fields position well and showed a good pick move to first to control runners. 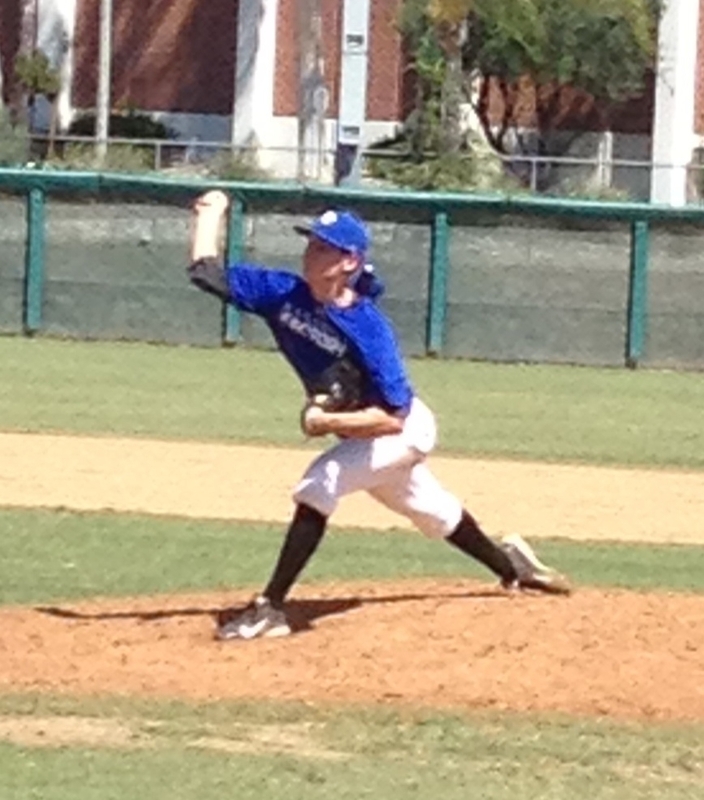 Got better with runners on and showed toughness in his outing. 8/1 – Long loose delivery, mixes pitches well, pitches to contact, clean separation, and pounds the zone. FB 83-85 late sinking action. 8/1 – Tall, athletic build, body projects. Good extension, flat thru zone, gap to gap power. Good bat speed. 8/2 – Tall strong frame, gap to gap power, strong presence at plate, good extension, good separation, delivers barrel, good bat speed. 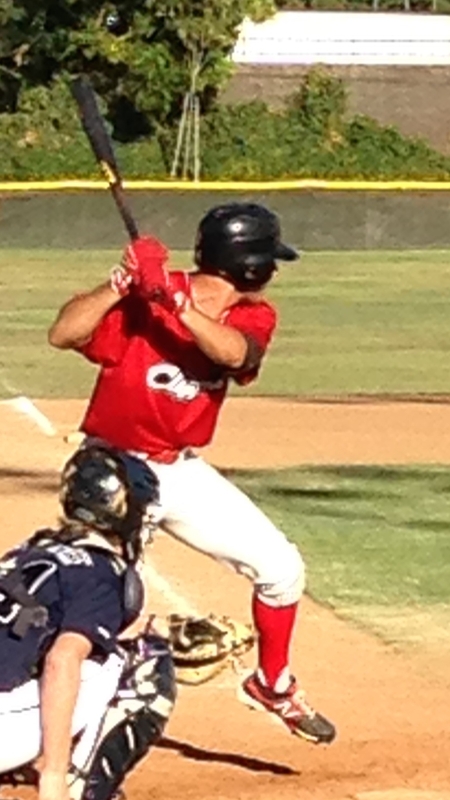 8/1 – Offensively is a spray hitter, stays inside with quiet hands, runs extremely well, accelerates around bases. Defensively, covers a big area, ability to track and close in on ball with good angles, and also recover when needed. 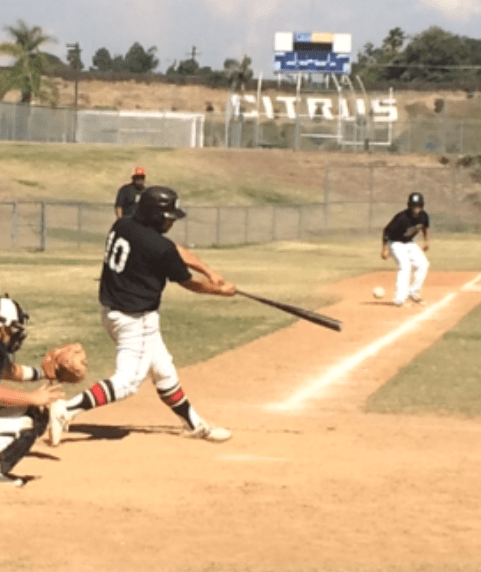 8/1 – Sweet swinging left handed hitter. Great rhythm and approach. Showed the ability to use the whole field. Athletic Catcher with carry on his throws and soft hands as a receiver. 8/1/14 – Strong body Catcher with a plus arm and solid receiving skills. 1.9 pop time. 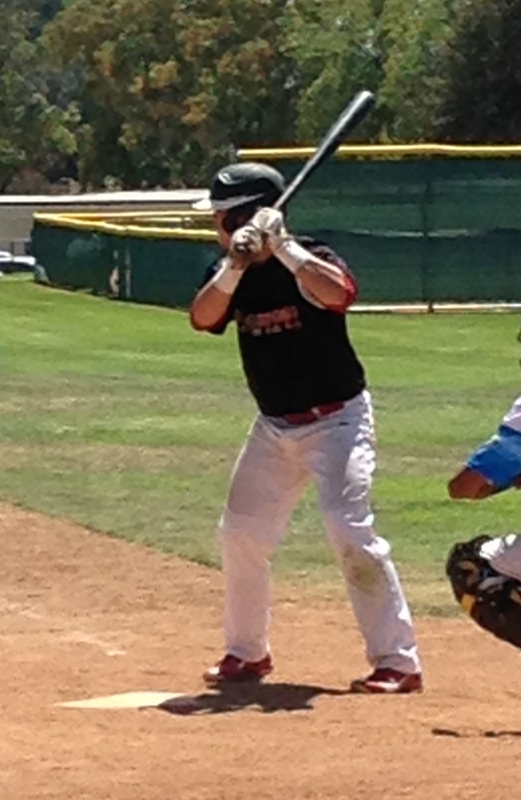 Potential to be a power hitting catcher. Showed gap power to the pull side and an aggressive approach with lots of bat speed. 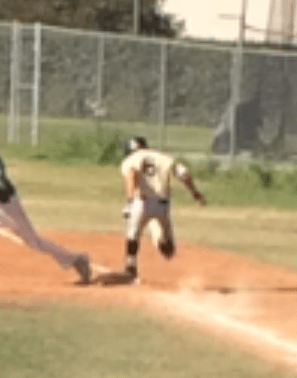 8/1/ – Smooth fielding SS with a plus arm. 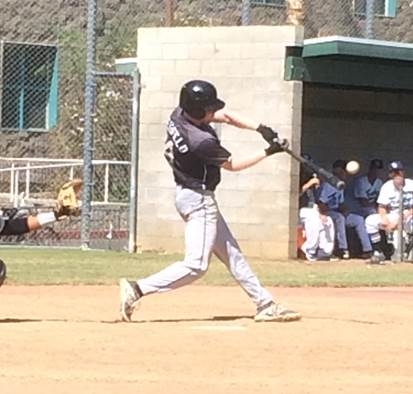 Good approach at the plate, line drive swing to all fields. 8/1 – Athletic, wiry build. 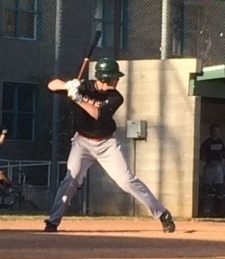 Offensively, good in stance rhythm, flat on plane swing, good use of lower 1/2. Line drive thru gap power. 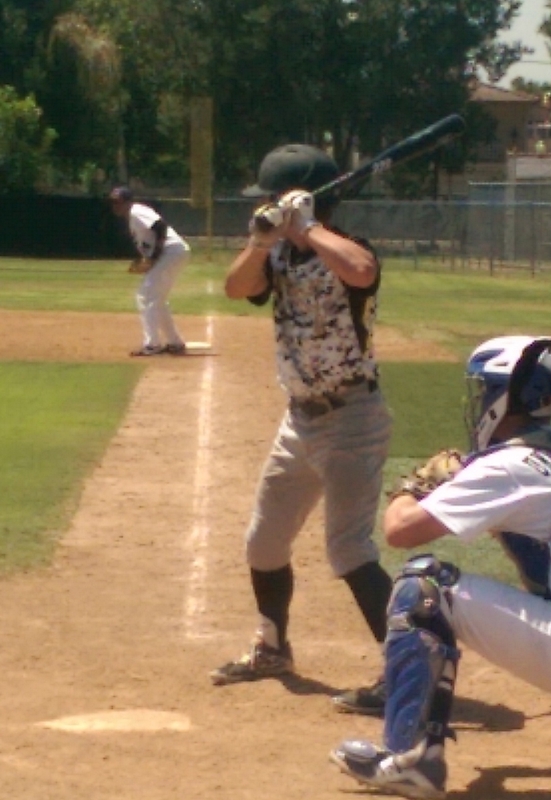 Defensively smooth actions, momentum flows thru target, quick exchanges on double plays. 7/31/14 – High rear and athletic slim frame. Smooth sure relaxed hands with clean actions. 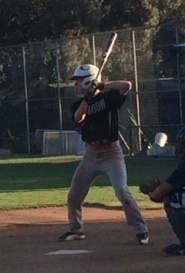 At the plate he has a direct stroke with a gap to gap approach. 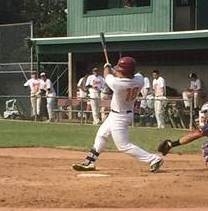 Line drive type. 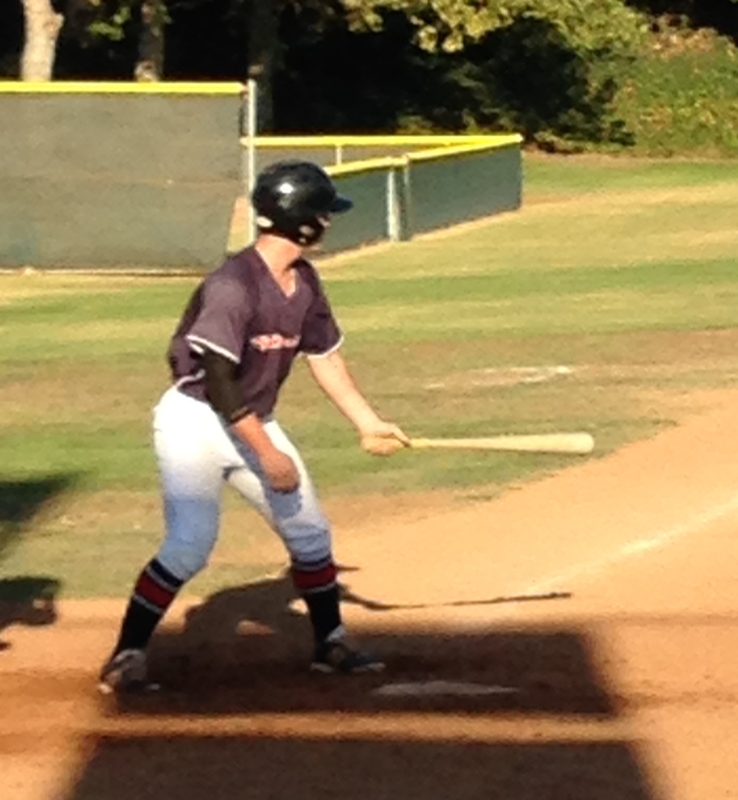 7/31/14 – Plus rhythm and balance at plate with a quiet good middle approach. Path is direct and has a solid lower half. 7/31/14 – Long athletic body with room to add weight and power. Showed range in CF and a good arm. 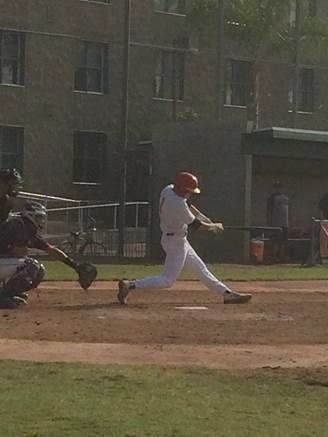 Flashed bat speed and a good approach at the plate. Hard to contact to the opposite field. Really big upside and potential as a five tool player. 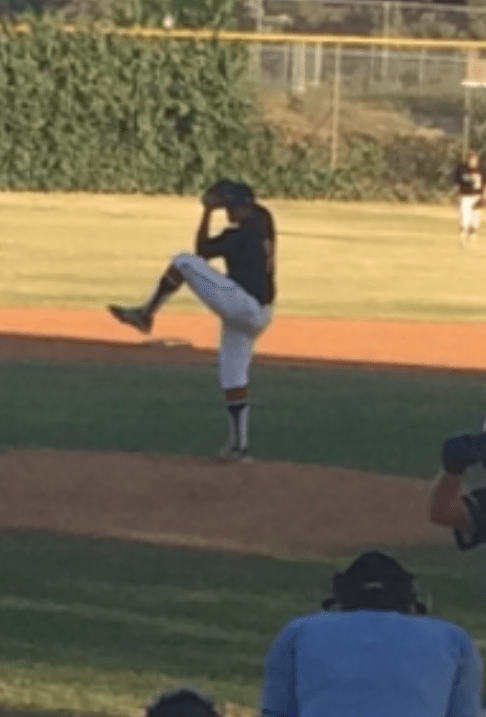 7/31 – Good athletic frame with room to fill out, long lower half, FB 87-89mph, easy out of hand with arm side run, SL is sharp with 10/4 break, attacks early and often, good mound presence and poise. 7/31 – Athletic physical frame, at the plate very patient, let’s ball travel and works to stay inside, line drive type of hitter. 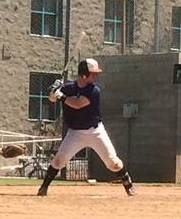 Defensively active footwork around bag, provides big target for fielders and flashes ability to cover ground laterally. 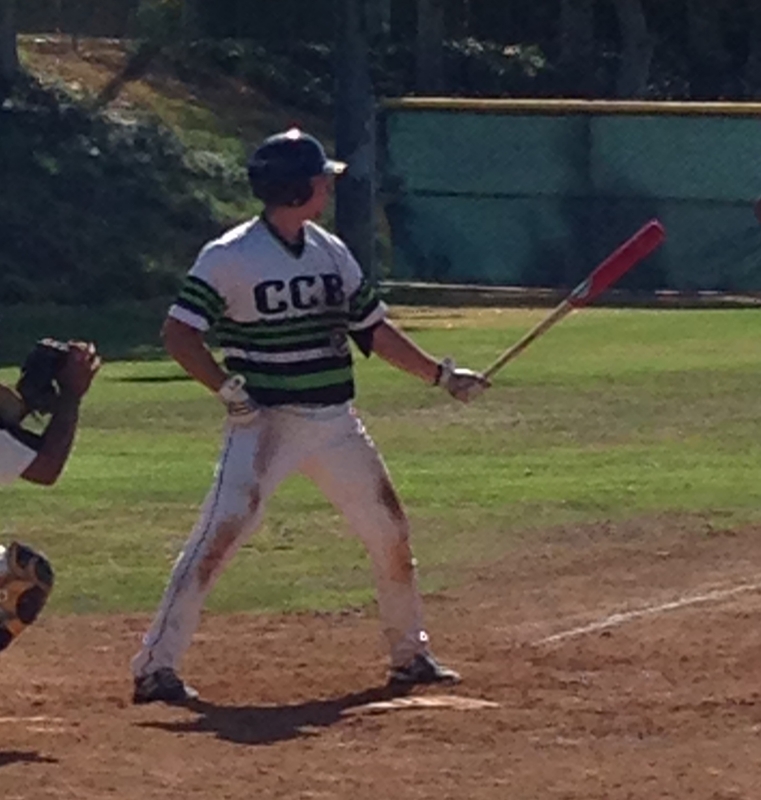 7/31 – Showed excellent range and athleticism at 2B. 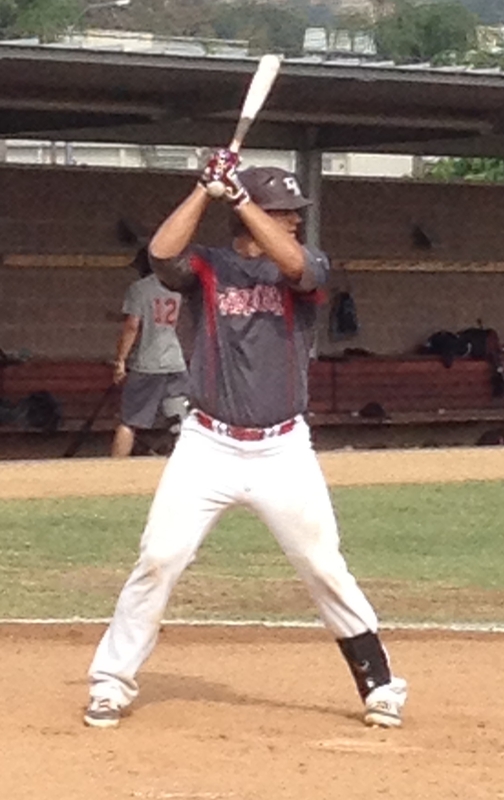 Made plays to the backhand, glove side and on the run with left side infield arm strength at 2B. 7/31 – Good rhythm, lands softly on front side, pull side power, extension, and has some loft. 7/31 – Athletic build, good body control, defensively works low to high, picks out hops, flashes good glove extension and quick release from different arm angles. Offensively, quick hands, short compact swing, barrel stays flat thru zone, good extension, capable of line drive from foul pole to foul pole. 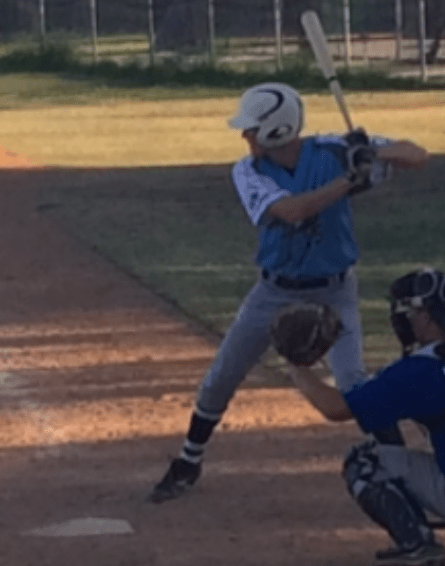 #22 Nick Shumpert – SS | R/R | 6’0/180 | 2015 | Highlands Ranch HS | Lonetree, CO.
7/31 – Athletic wiry for frame, quick twitched, good angles, works around ball, soft hands, flows through ground ball, quick release with carry. Offensively has quick hands, capability to drive baseball foul pole to foul pole, good extension, quiet head, good bat speed. 7/31 – Defensively strong accurate arm, direct transfer, quick feet and late carry on throw. 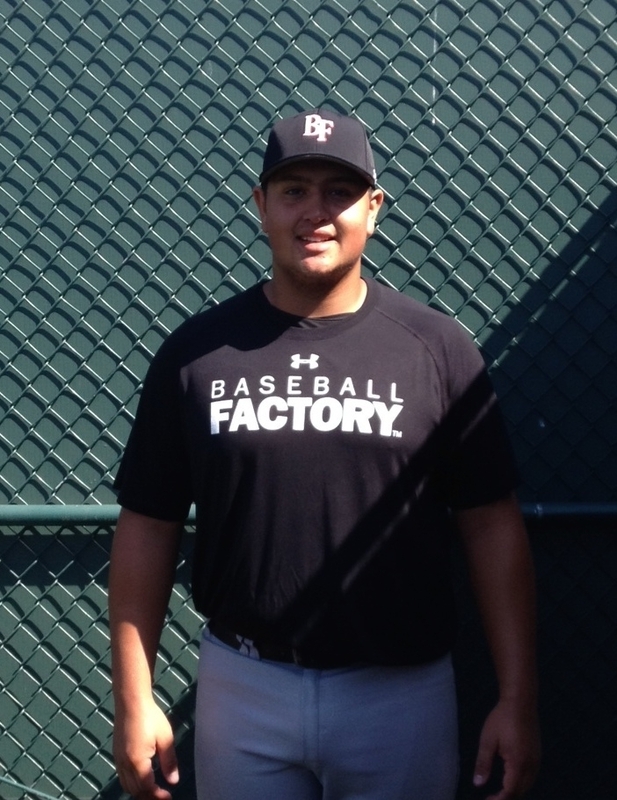 Quiet soft ball hands and ability to smother baseball when blocking. Offensively, body has good rhythm, hard contact, and good loft. 8/2- Tall, lanky frame with room to fill. 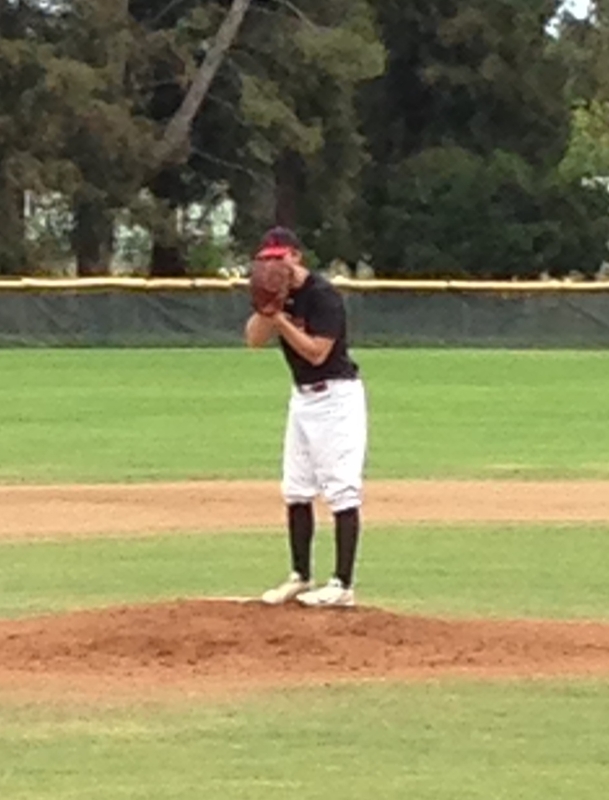 FB 84-86 with late life, slider 75-77, change-up 73-75. Good tempo, stays in line, commands FB down in zone and gets on top very well. 8/1 – Tall lanky frame, wit room to fill. High 3/4 delivery, Long arm swing, stays over rubber, uses legs very well, effortless delivery. FB 79-81 with natural arm side movement, CB late break, near slider action. 7/31 – Good looking player at SS. 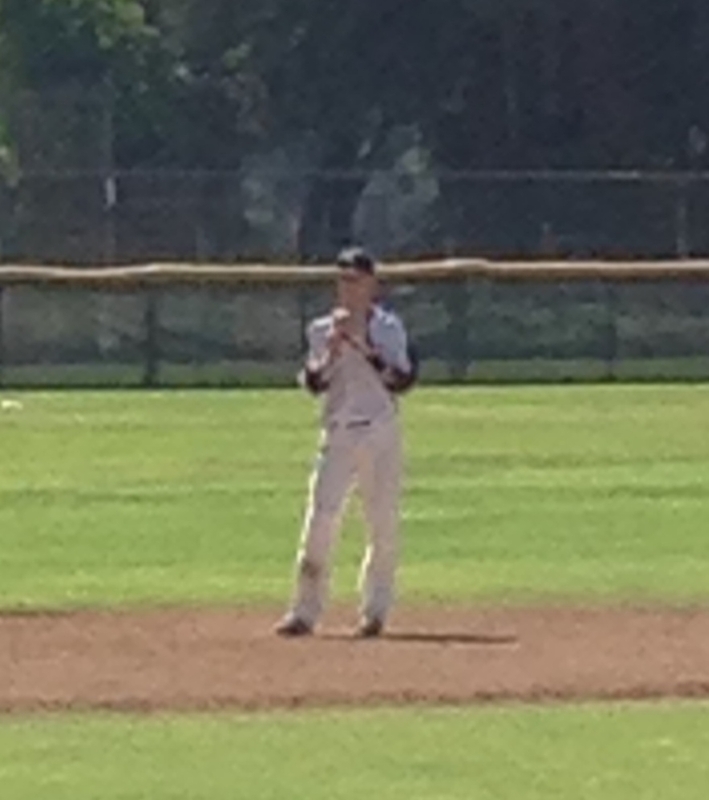 Plays the game hard and showed leadership in the middle infield. Gamer. 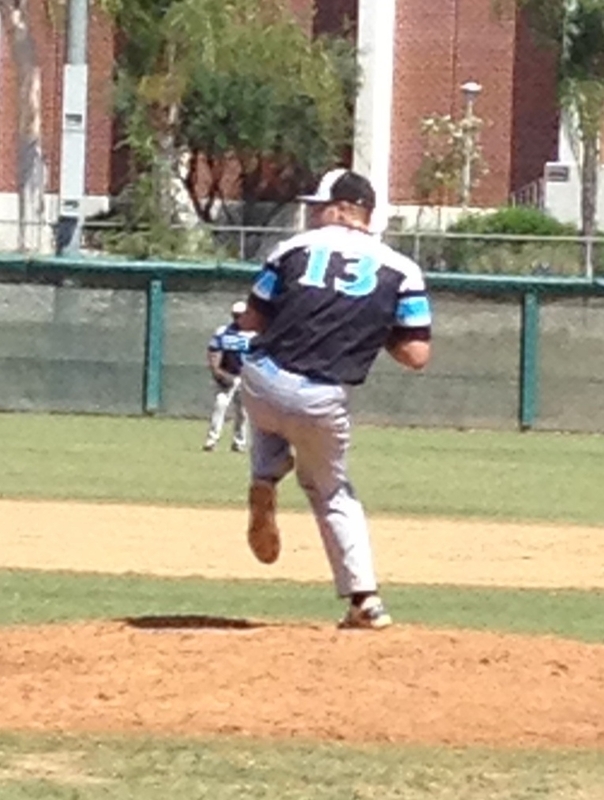 Showed good feet and an ability to dictate the hop on the ground ball and good carry on his throws. At the plate showed a good eye and a head for the game as a leadoff hitter. Short line drive stroke with some gap power. 7/31/14 Wiry and athletic body with room to add weight. 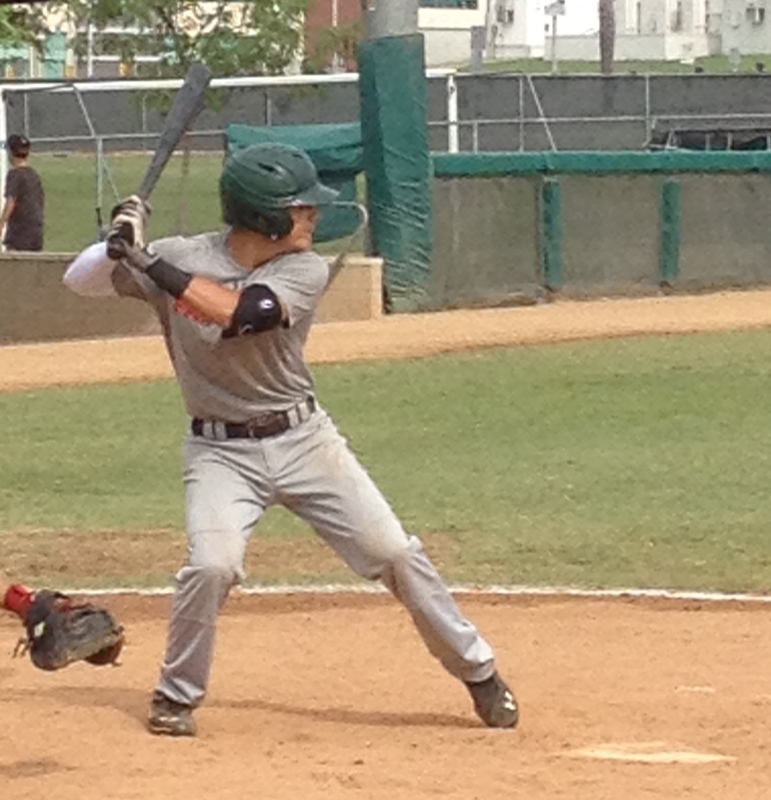 Potential left side of the diamond player as he gets stronger. 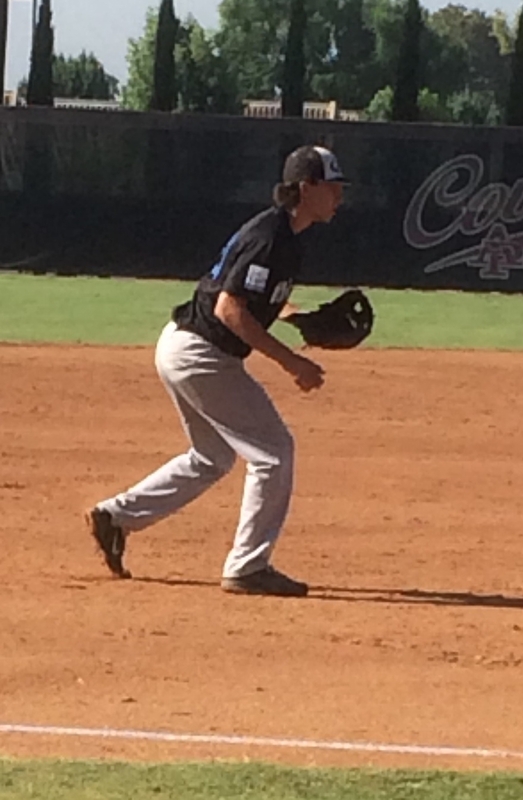 Showed soft hands and good feel for the middle infield. 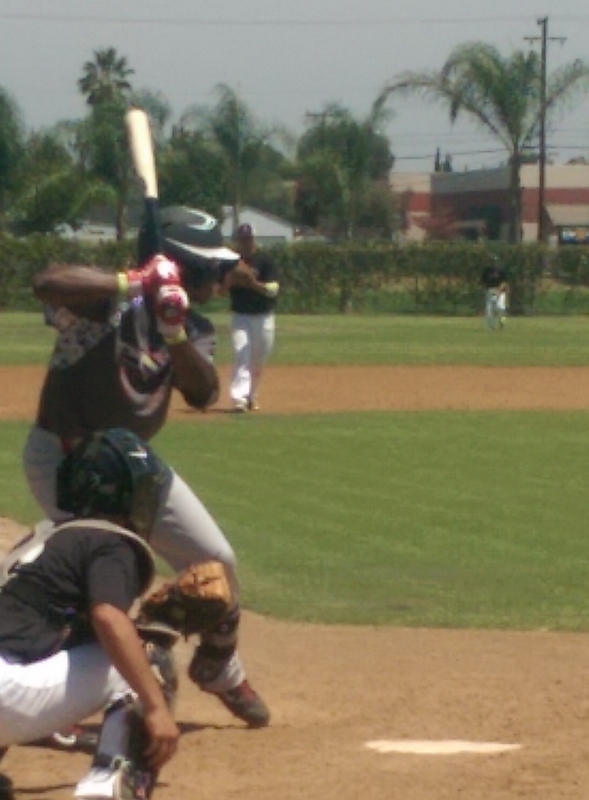 At the plate showed a line drive approach and an ability to use the whole field. 8/2 – Big strong frame with a strong lower half. 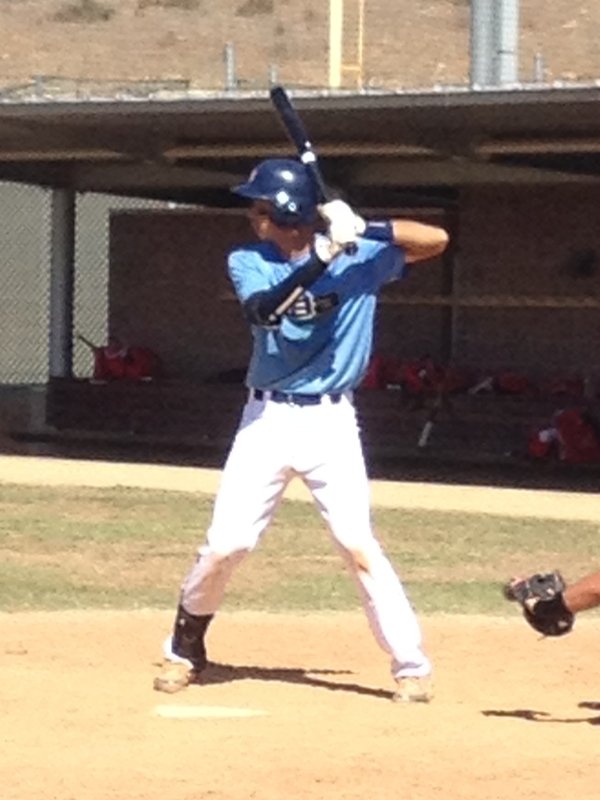 Showed a short swing with bat speed and potential to be a HomeRun,middle of the lineup player. Good pitch recognition with a balanced swing. 8/2 – Explosive athlete with a strong lower half. 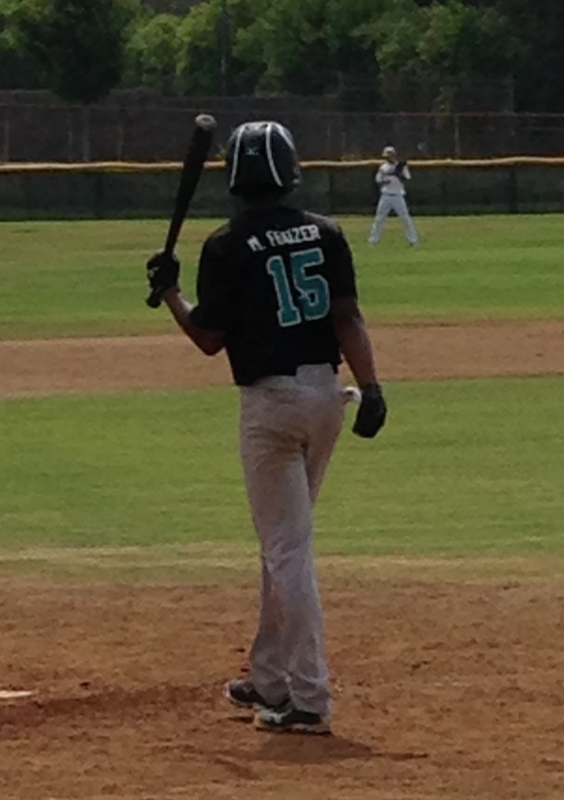 Showed good range in the outfield, true Center Fielder. 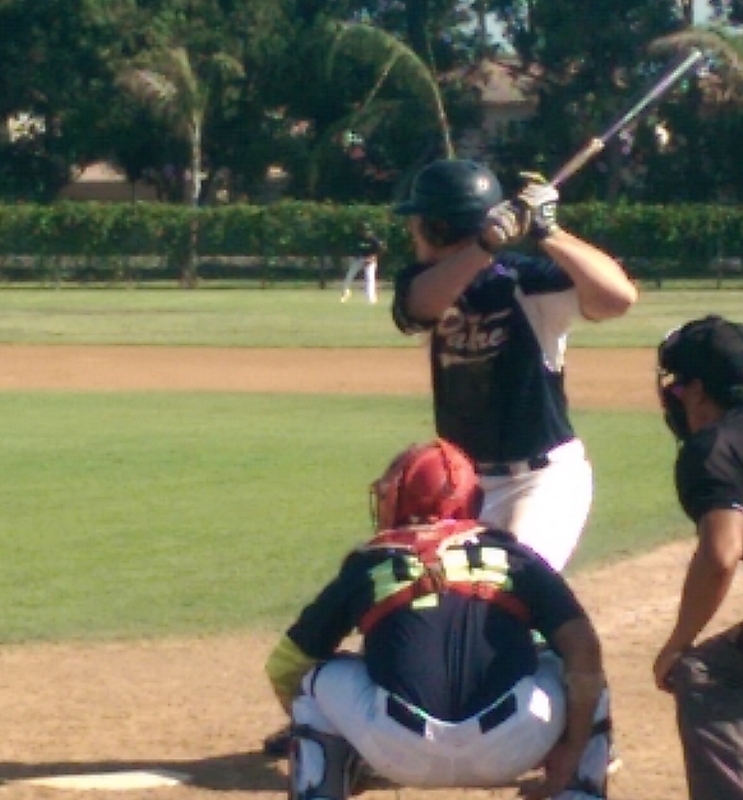 At the plate Dailin showed plus plus bat speed, ball comes off the bat different. Speed and power combination potential. 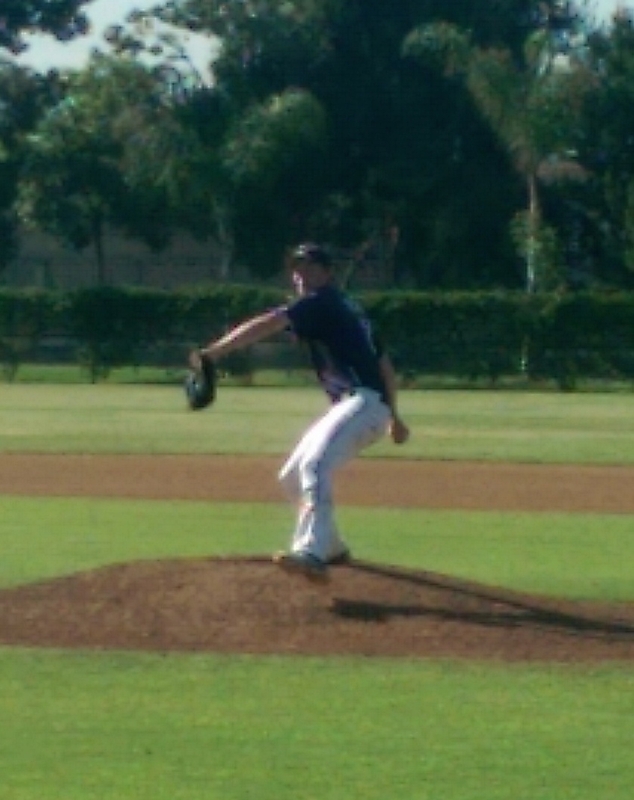 Used the whole field and was aggressive on fastballs. 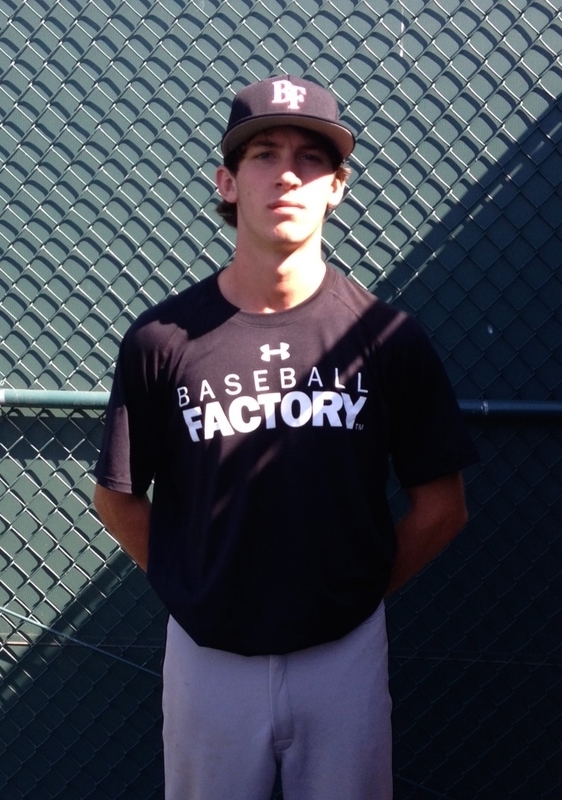 8/2 – Slick fielding middle infielder with active feet, soft hands and an above average throwing arm. 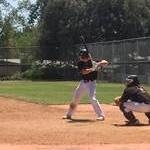 Showed a line drive approach with lots of bat speed. 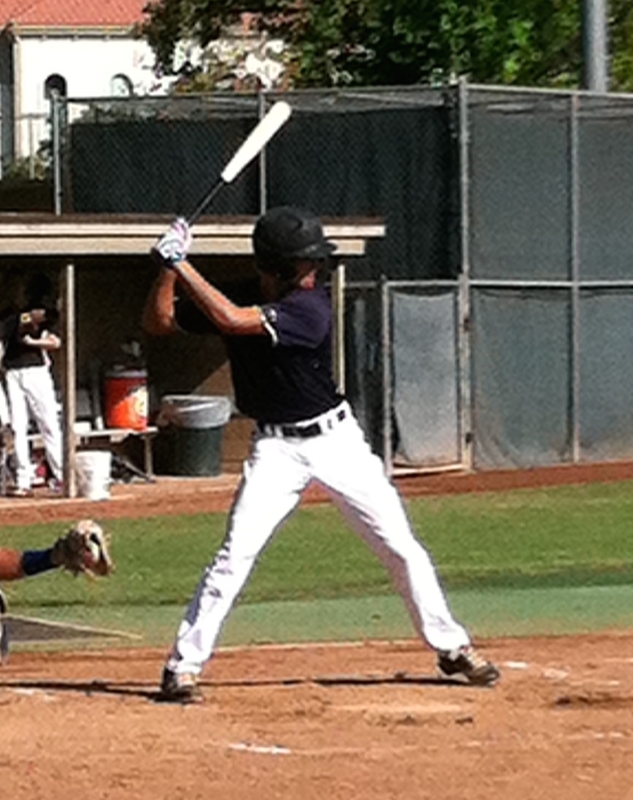 7/31/14 – Short swing with the ability to drive the ball. Showed HR power to the pullside. 8/2 – Lean wiry frame, body still room to develop. 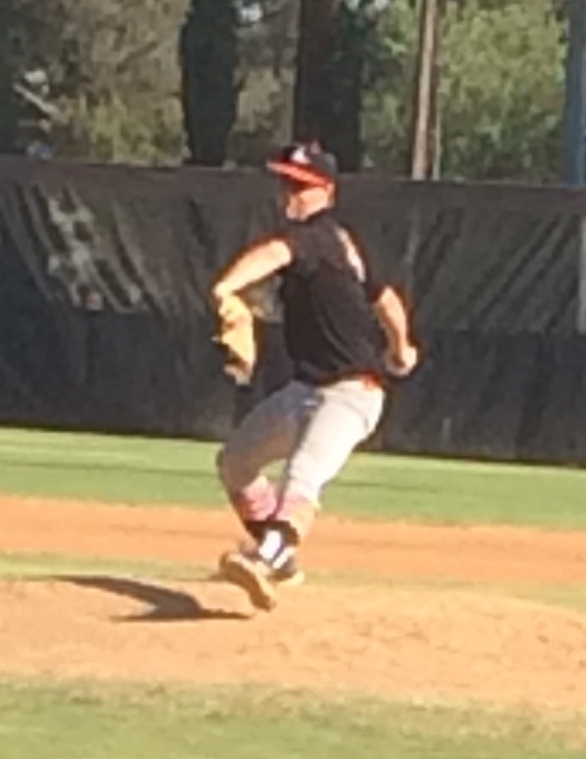 Soft hands, quick release, works around baseball, changes arm angles. 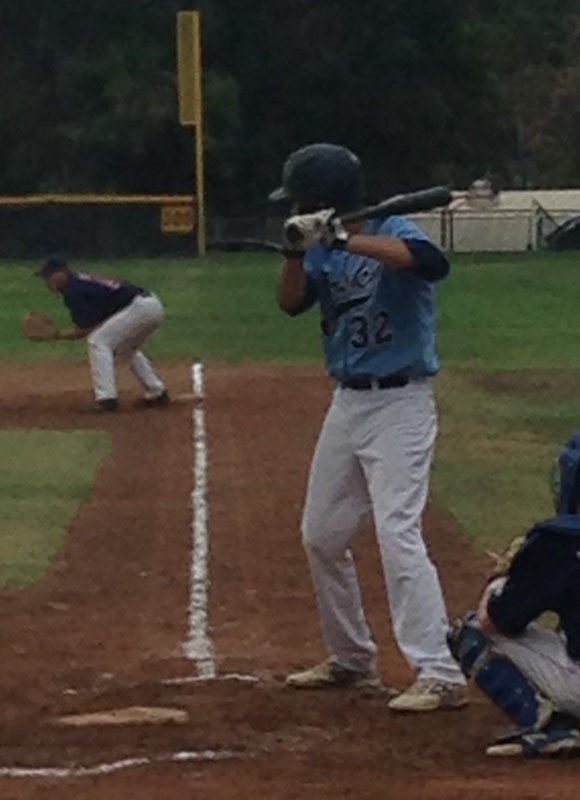 At the dish, short compact stroke, spray type approach. Quick feet, runs well. 8/1 – Tall, broad shoulders. 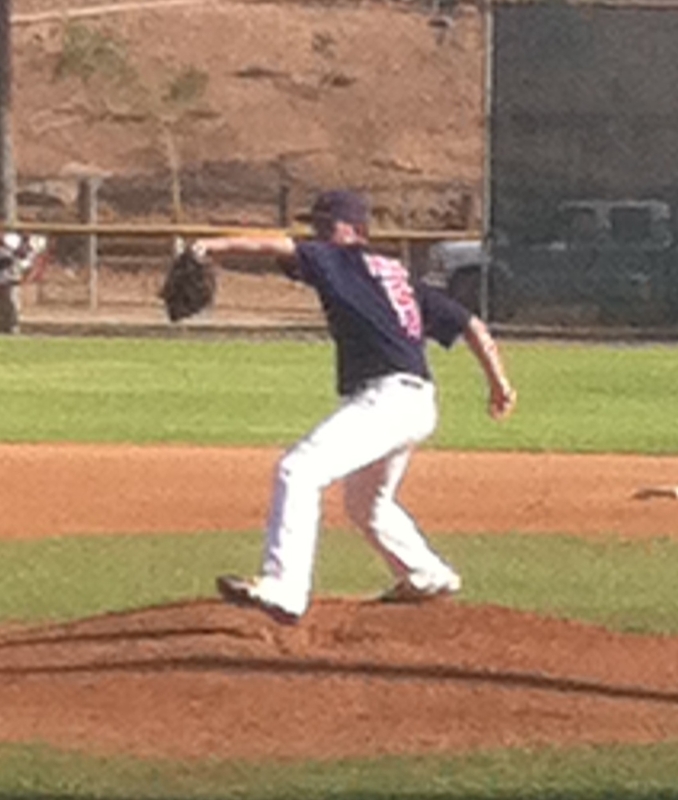 On the mound, short quick arm stroke, in line with lower half and good use of legs. FB – 84-86. 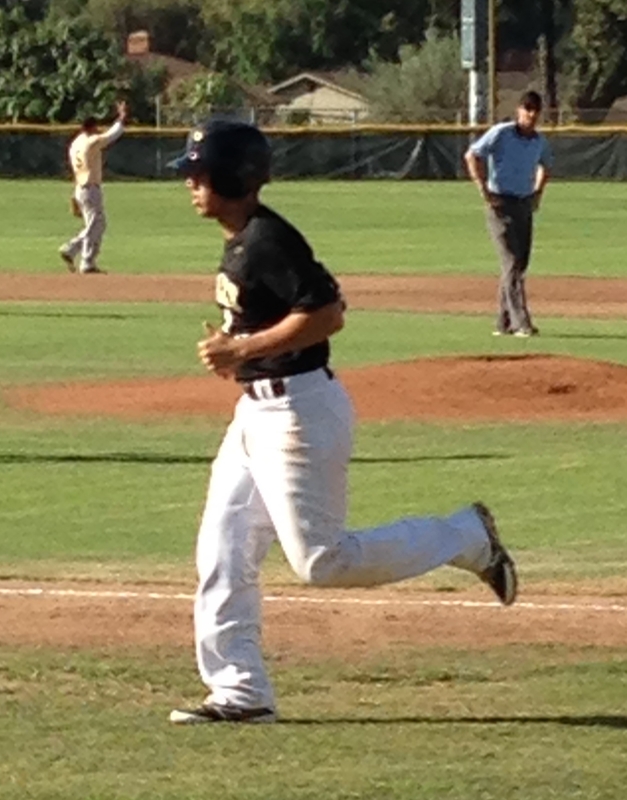 Offensively, nice loose stance, good hip rotation, runs very well. 3.96 to first base. 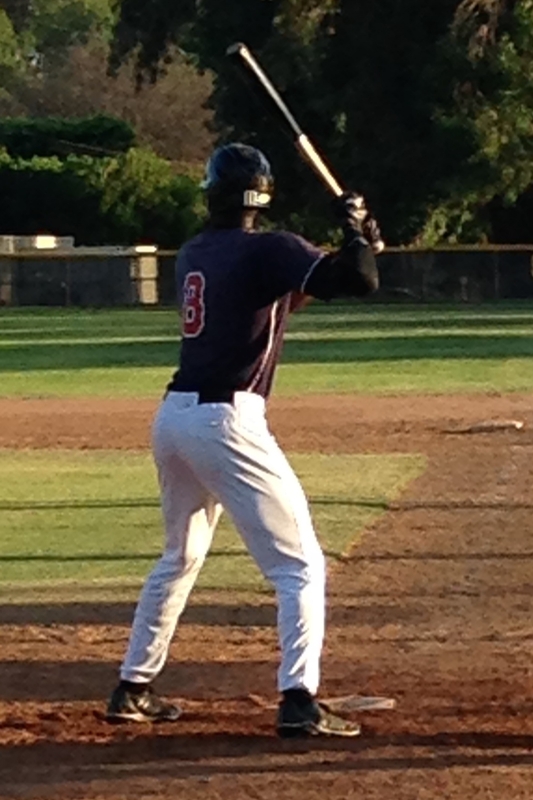 8/1 – Tall, long levers, strong frame, physical hitter at the plate, looks to do damage, hits for power, good extension. 8/2 – Quick footwork, gains ground, quick release, strong arm 1.85-2.00, nice low target, very flexible, strong wrist. Blocks well and deadens baseball. Offensively, Quick hands , spray approach, quiet head. 7/31/14 Plus defender at SS. Good range, soft hands and arm strength. Plays with a lot of energy and a high motor. 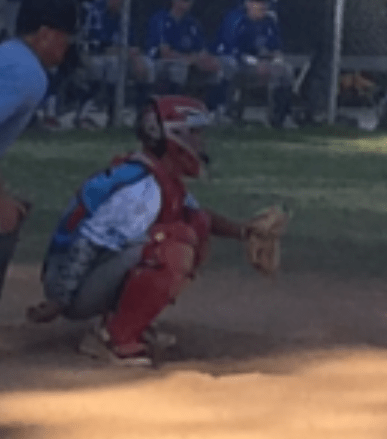 8/3 – Lean athletic frame, good rhythm, works through ball, picks out hops, good glove extension, ability to change arm angles with a quick release and good accuracy. 8/1 – Athletic frame with long levers, at the plate is aggressive, flat barrel thru zone, good extension, easy loft and pull side power. 8/1 – Tall lanky frame, long and free easy delivery, in line direction, stays over rubber. Fb sat 79-82 with natural arm side run, CB has 2-7 sharp break, change is deceptive with late sinking action. 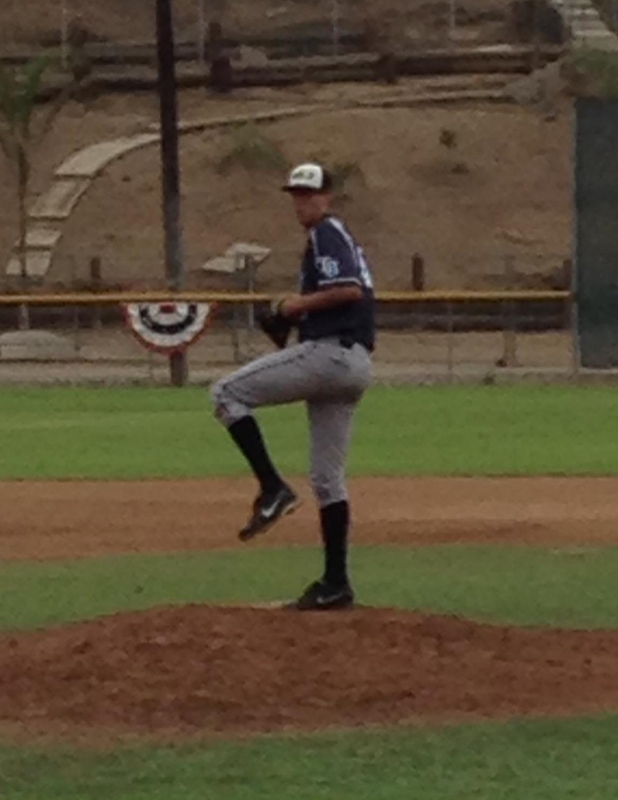 7/31/14 – Tall athletic pitcher with a repeatable delivery. 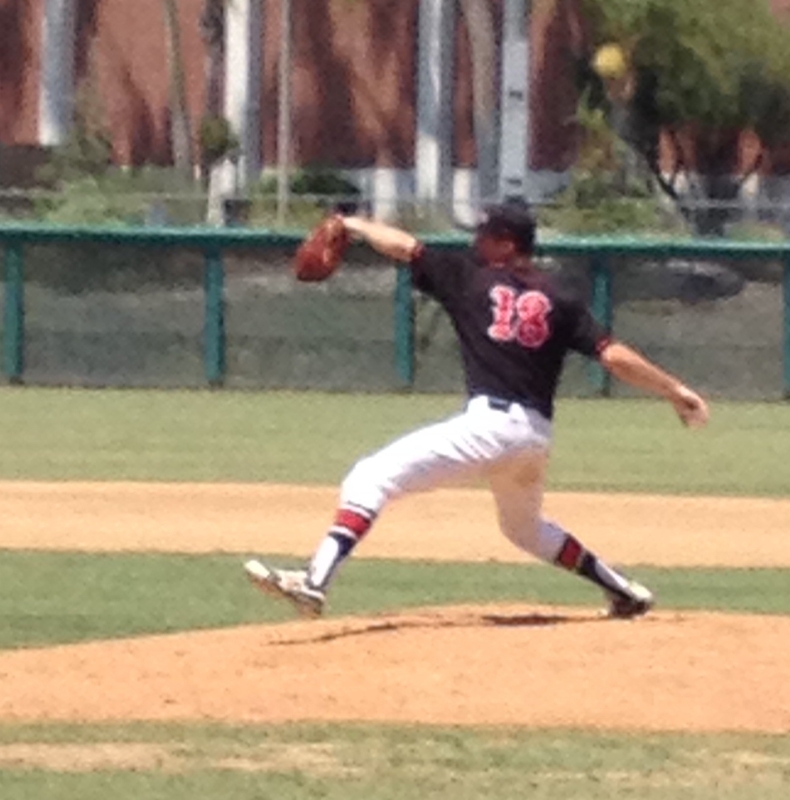 Fastball sat 85-87 and touched 88 with good downhill action. Commanded secondary pitches well both ahead and behind in the count. Threw his breaking ball 74-75 with a 10-5 shape for strikes at will. 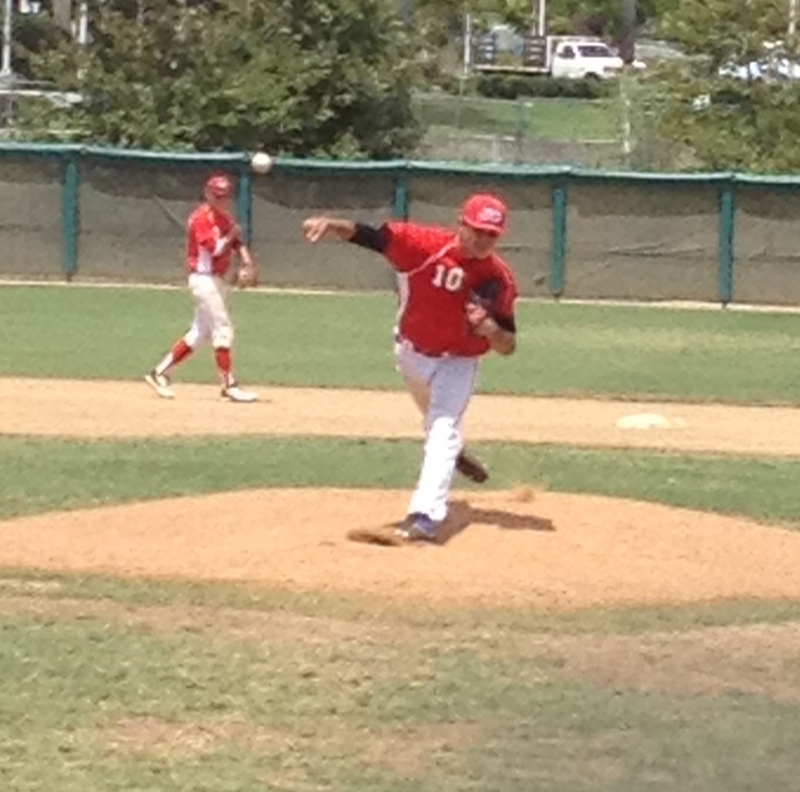 Out pitch was a change up with split action that he commanded to the bottom of the strike zone 77-80. Chance to be impact arm at the next level room to add velocity as he continues to refine some pieces of the delivery, tons of upside. 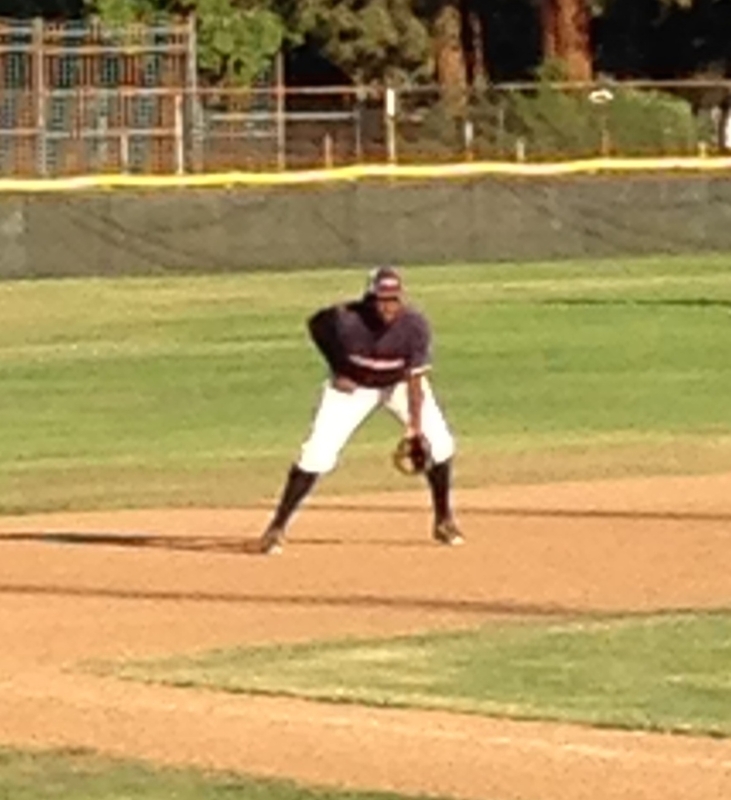 7/31/14 – Plus athlete in the middle infield with good feet, soft hands and a strong arm with good carry. Flashed gap power with a short direct swing and a lot of bat speed. Wiry frame with room to add weight, explosive athlete with a ton of upside. 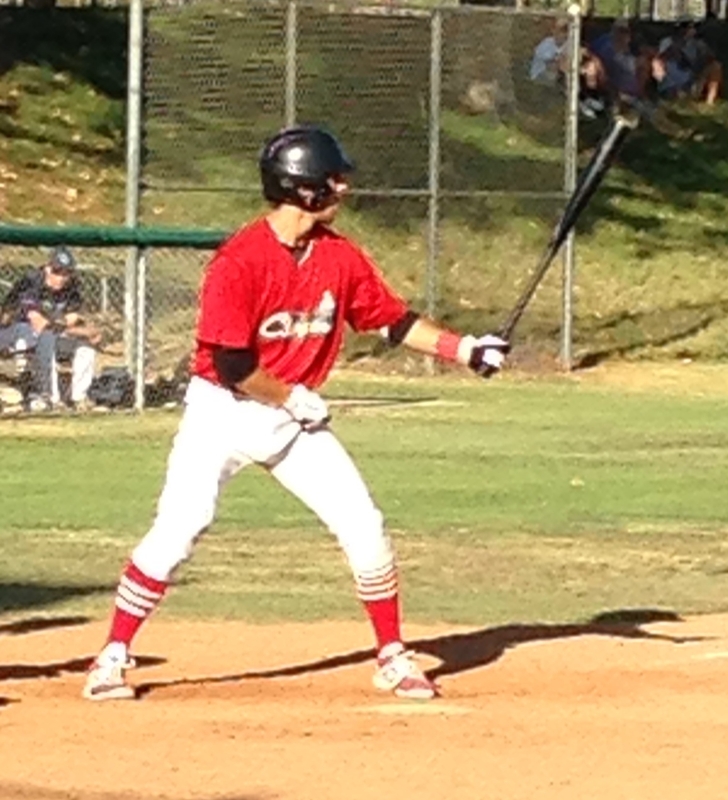 7/31/14 – Left handed power hitting outfielder with Homerun power to the pullside. Plus body and a strong frame. Balanced through the swing with a good load and downhill path that creates good backspin. 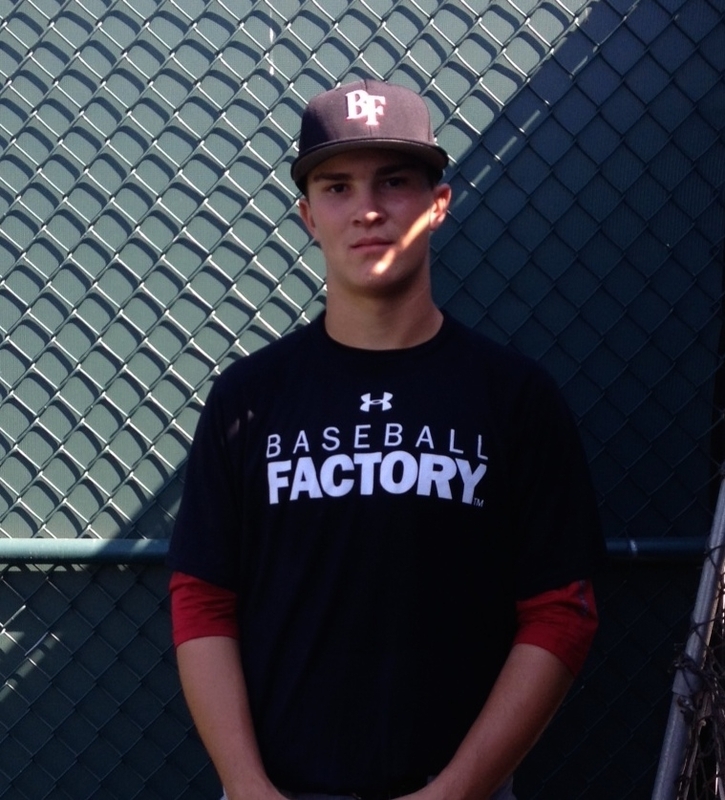 Showed the ability to go get the ball in CF and flashed an above average arm. 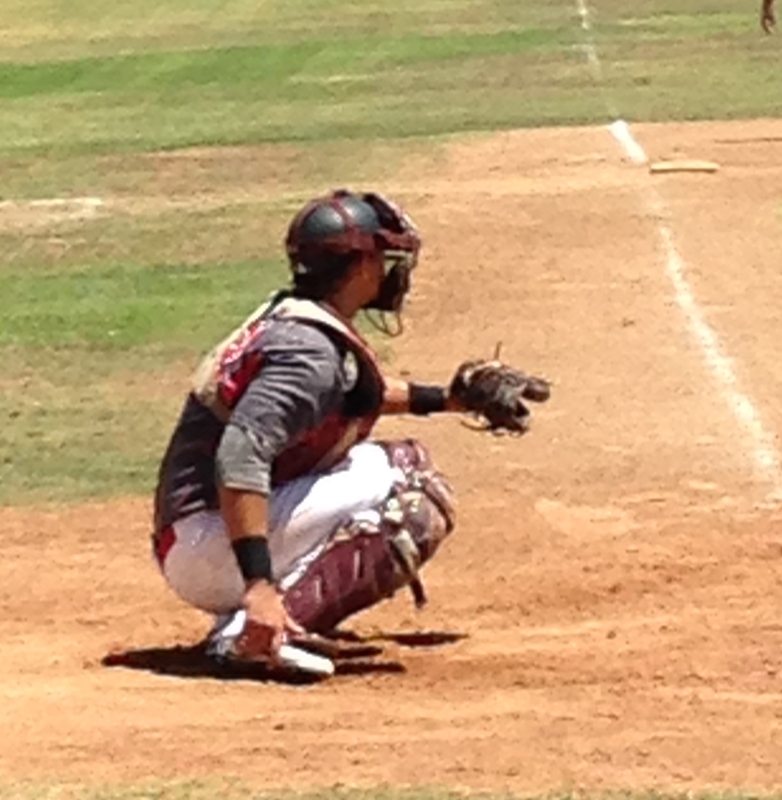 7/31/14 – Offensive Catcher with catch and throw ability. Showed good receiving skills, soft hands and good flexibility. Arm has life and carry, transfer, release and feet are plus and showed a 1.85-1.9 pop time. 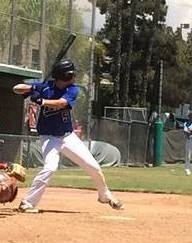 At the plate Michael has a balanced swing, with bat speed and a direct path to contact. 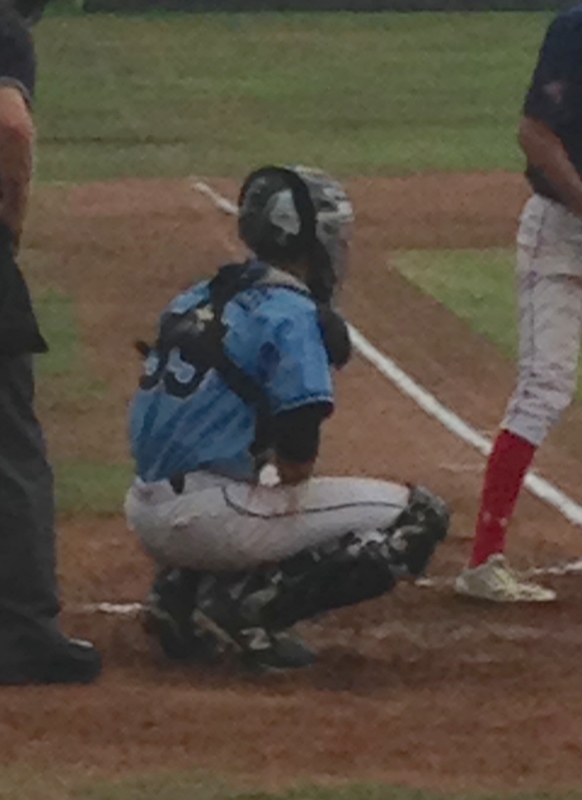 Potential power hitting catcher that can stay behind the plate at the next level. 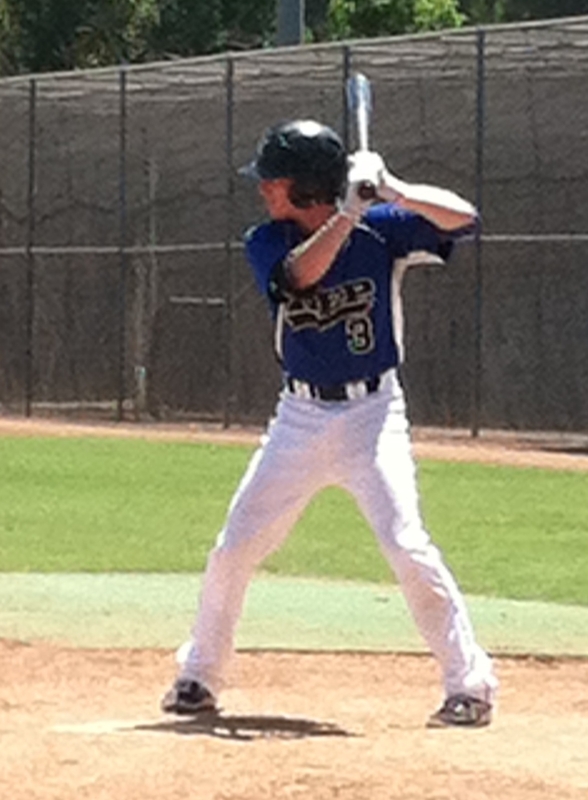 8/1 – Big strong frame with tons of athleticism at 3B. Soft hands and a plus arm. 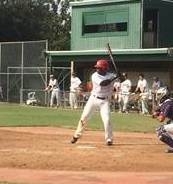 At the plate showed a power bat with a smooth load and balance through the swing. Ball jumps off his bat and will be a middle of the lineup power bat. 8/1 – Plus body with long levers. Athlete that showed gap power out of quick downhill swing path. 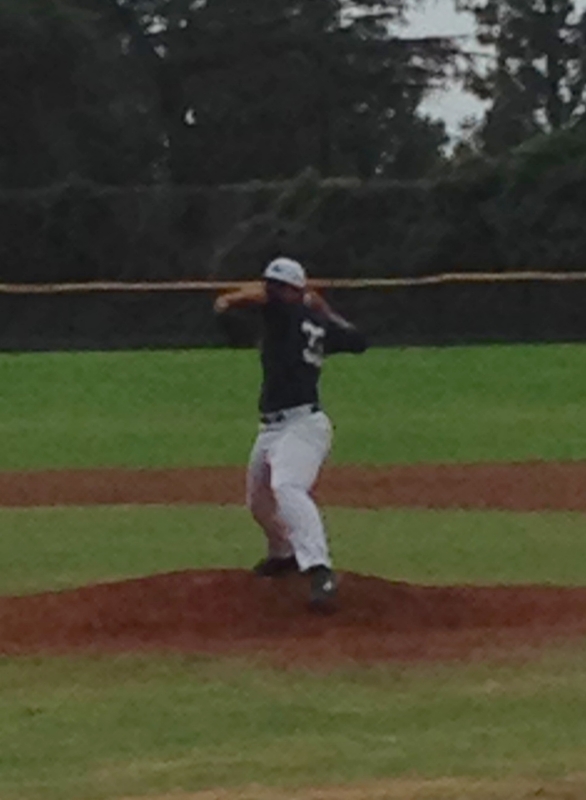 8/1/14 – Athletic RHP that competes and knows how to pitch. 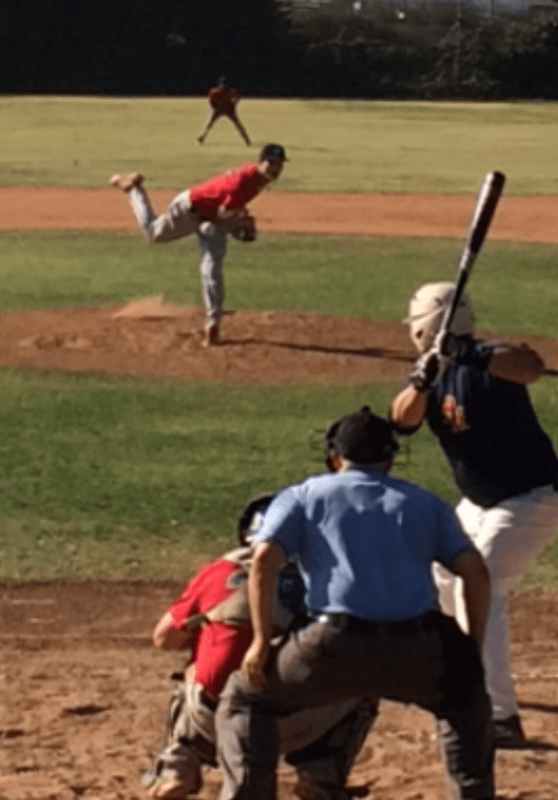 Fastball was 82-83 with control to both sides of the plate. 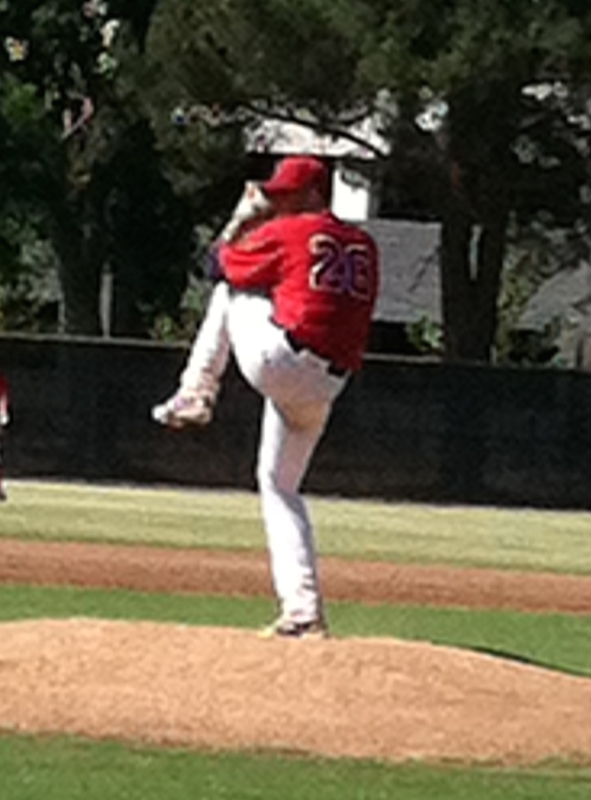 Breaking ball (72-75) was a plus pitch that was thrown for a strike and a sharper slider break for a strikeout pitch. 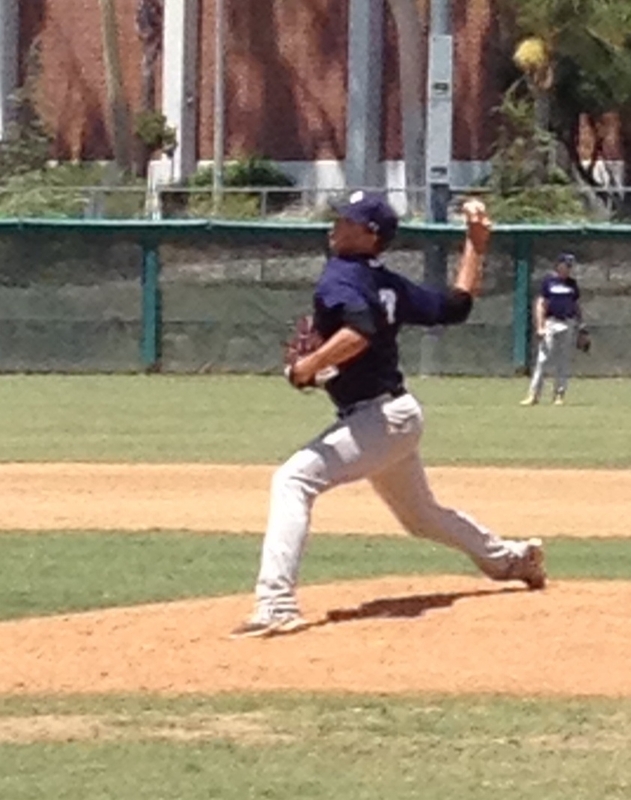 8/2 – Aggressive RHP with a quick arm. Sat 85-86 with feel for a change up 72-74. 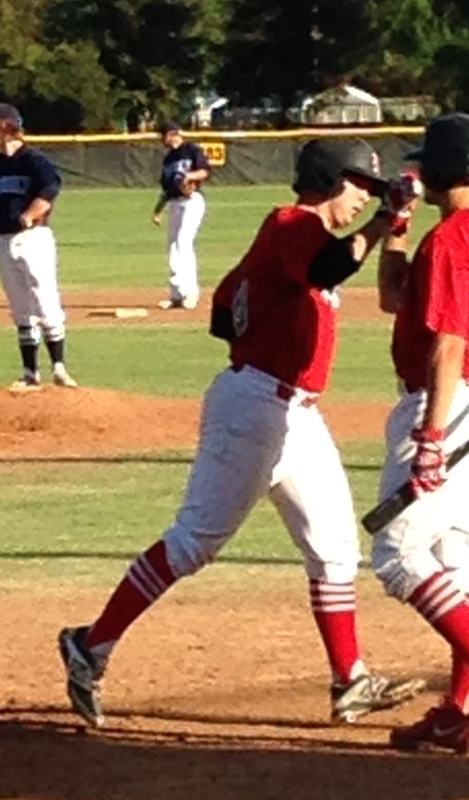 Pounded the strike zone. 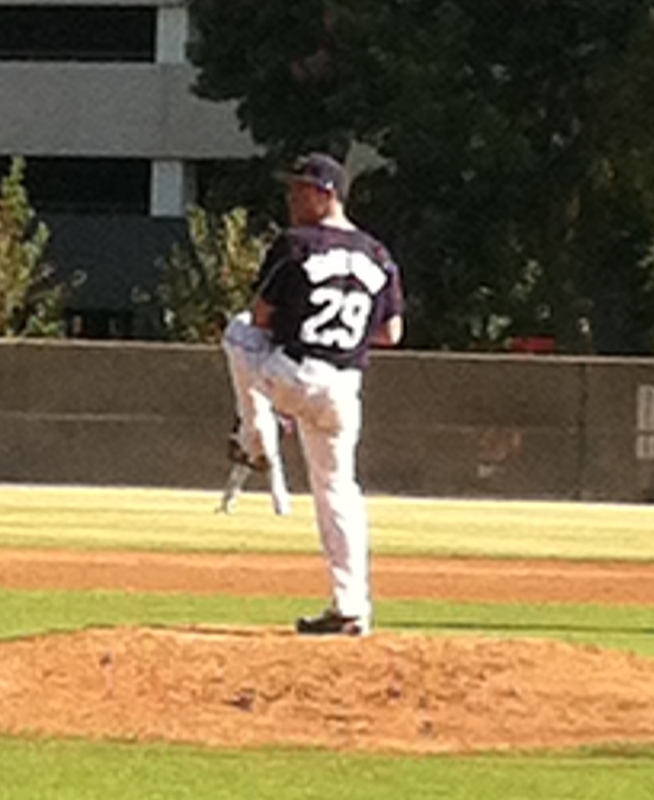 8/2 – Tall RHP with a clean, loose arm and a low effort delivery. Sat 84-86 with good downhill plane. Velocity will jump with a cleaner lower 1/2. Showed feel for a 12/6 breaking ball that was 70-74. 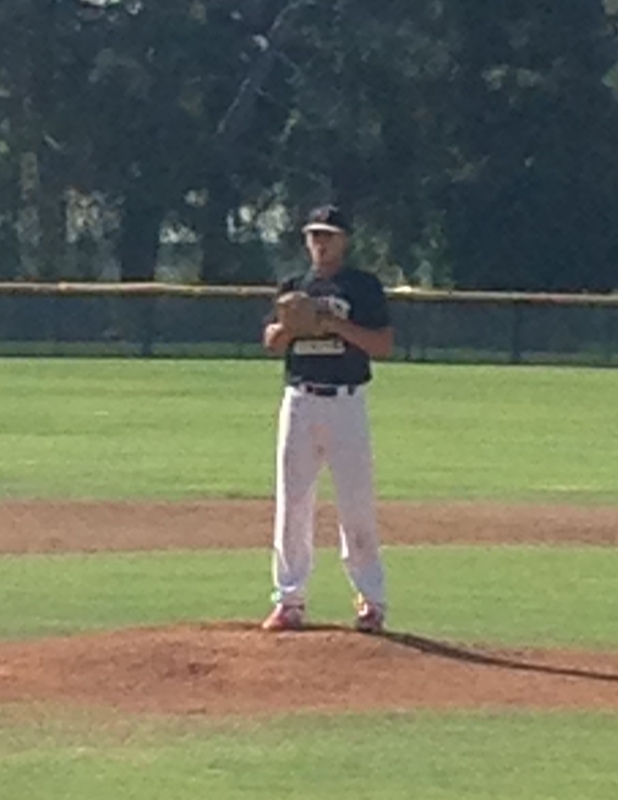 Lots of potential and upside on the mound. 8/2 – Smooth, sure handed SS with soft hands a plus arm. 8/2 – Tall, lean, long limbs, high 3/4 delivery, long arm swing, gets on top, good down hill plane, good extension thru target with a lot of upside. FB 86-88 , slider 74-78 sharp break with 11/3 action. 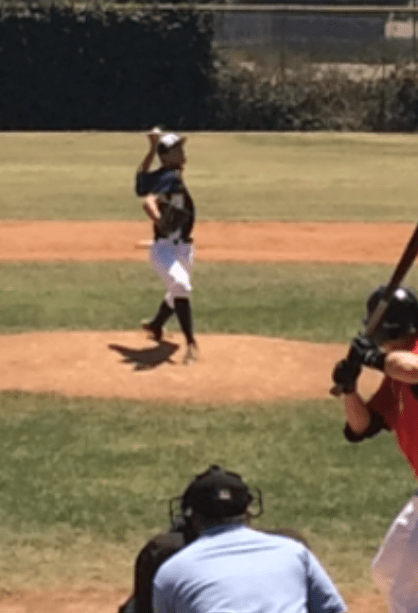 7/31 – Lean, lanky, high rear, athletic build, 85-88mph FB from a deceptive motion and good arm speed, plus arm action on all off speed pitches, all off speed for strikes, throws off speed in all counts. 71-73 slider with tight break and tilt. In and out of the zone, on plane. 8/2 – Good athlete and a plus defender in CF. 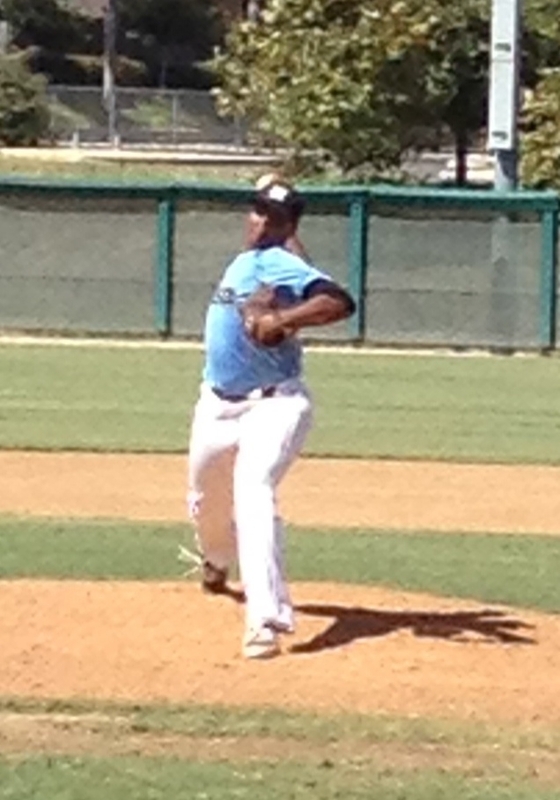 Showed ability to run down balls in the gap with an above average throwing arm. 8/1 – Good body with room to add strength and weight. 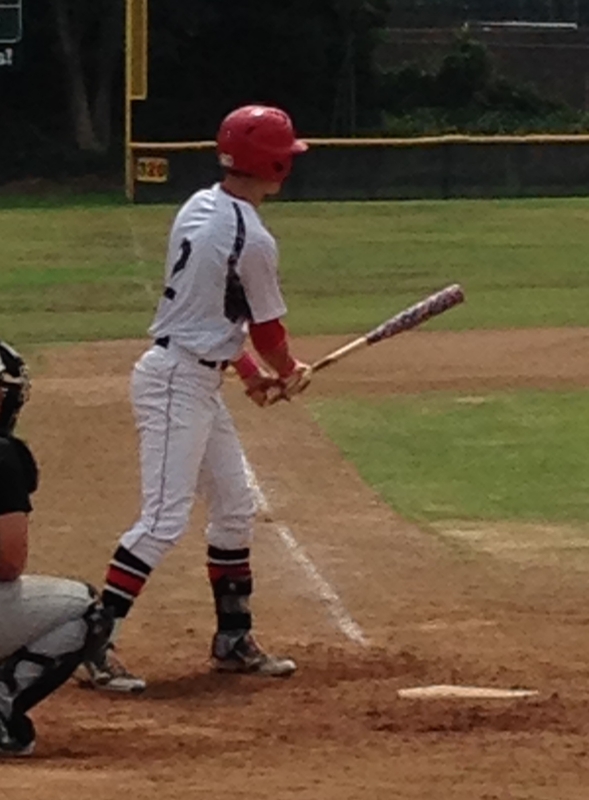 Smooth swinging left handed hitter with a good bat path and bat speed. 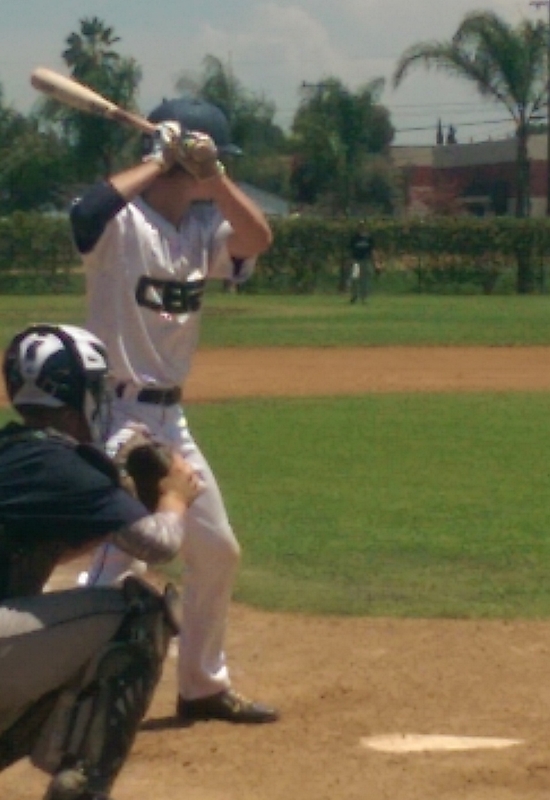 Showed pull side power and barreled 2 balls in his at bats. 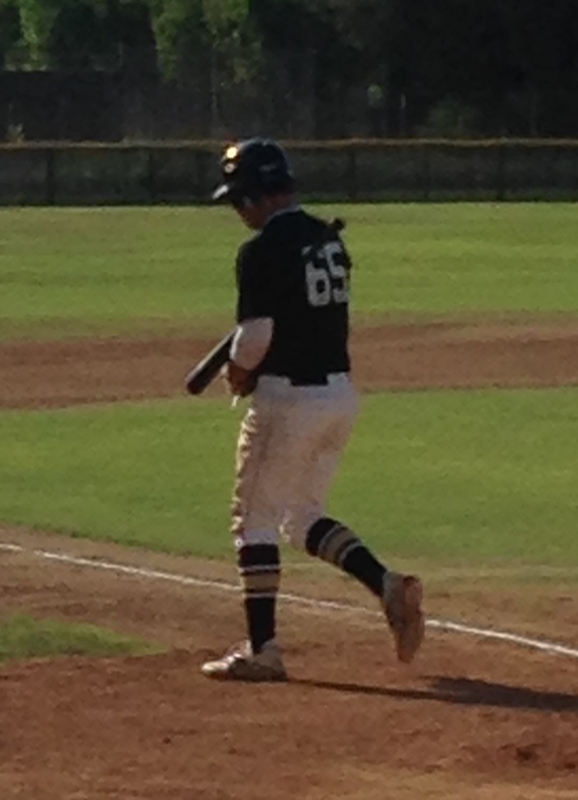 Showed a good first step and athleticism at 3B with the ability to make the play on the run. 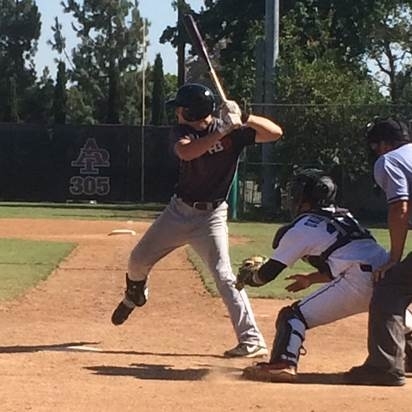 Plenty of arm strength to stay at 3B at the next level. 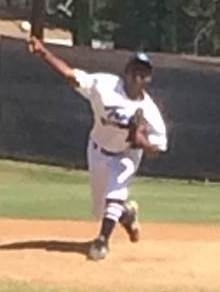 7/31 – Big, strong frame, high 3/4 arm slot, FB 84-86mph, arm side run, CB 69-70mph, sharp downward action and depth, good tempo, attacked early, worked both sides of the plate, threw all pitches for strikes, maintained good rhythm and poise at all times. 7/31/14 – Athletic body. Agile on feet. Good actions on defense. Quick transfers. Gets rid of ball quick. Gap pop. Plus rhythm and extension good lower half drive. Loose hands. Handles bat very well. 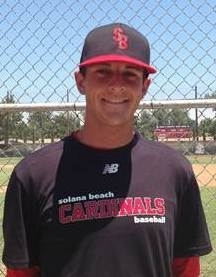 USD commit. 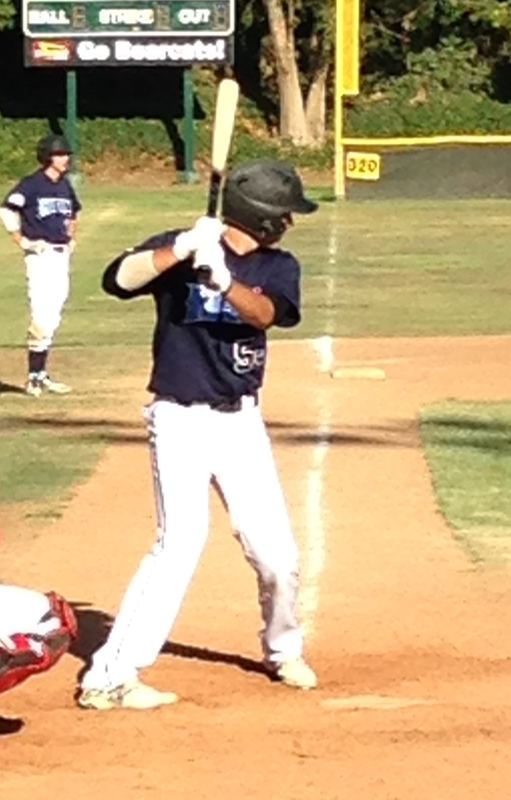 #18 Louis Trade – OF | R/R | 6′ /180 | 2015 | Chaparral HS | Murrieta ca. Slender athletic build. Good routes and closing foot speed in the of. Good carry on throws. Good quick loose hand speed. Barrel control w plus extension. Stays behind the baseball with a good lower 1/2. 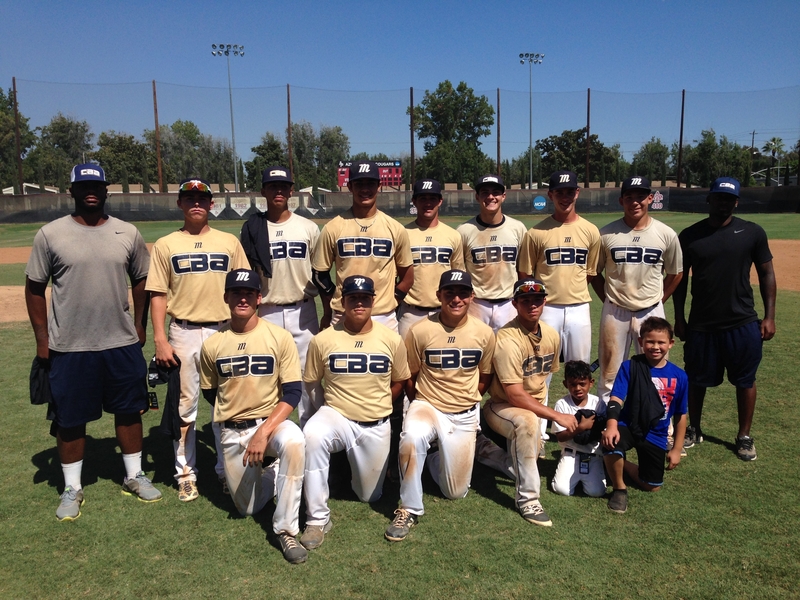 This entry was posted in 2014 Under Armour Southwest Championships (18U), 2014 Under Armour Tournaments and tagged Aaron Shortridge, Adam Medrano, Adrian Ortega, Adrian Rodriguez, Alec Gamboa, Alex Dailey, Alex Roeser, Andrew Bash, Andrew Daschbach, Andrew Vrtar, Angelo Bortolin, Anthony Necochea, Austin Isenhart, Austin Ruiz, Austin Toerner, Benjamin Moralez, Blake Rutherford, Blake Sabol, Blake Schriever, Blake Workman, Brad Morgan, Brandon Alamo, Brandon Rodriguez, Brandon Whetnight, Brennan McKenzie, Cade Peters, Caden Maher, Cal Koga, Cameron Haskell, Cameron Stubbs, Carpenter Pagett, Carter Aldrete, Carter Kraus, Chris Concepción, Chris Davidson, Chris Fife, Chris Sandberg, Christian Hall, Christian Hammer, Christian Lopez, Christian Murua Jr., Christopher Ceballos, Christopher Gesell, Cody Deason, Cole Acosta, Cole Klemke, Cole Lemmell, Cole Weaver, Collin Runge, Colton French, Connor Bock, Corbin Martin, Dailin Lee, Dakota Donavon, Daniel Jones, Daniel Perry, Daniel Ritcheson, David Barta, David Evans, David Hoetzlien, David McMullen, Dean Angelo, Devon Aldridge, Devon Peterson, Domenic Fletcher, Dominic Campeau, Drake Wood, Dylan Doherty, Dylan Gordon, Dylan Orick, Dylan Thomas, Eli Roberts, Emanual Isiah Viramontes, Eric Alphin, Fernando Galindo, Francisco Ramirez, Gabriel Chavez, Gannon Miller, Garrett Lockwood, Grant Victor, Greg Cullen, Greg Lowe, Hayden Nix, Hazahel Quijada, Heriberto Rodriguez, Holden Christian, Hunter Riley, Hunter Steinmetz, Isaiah Lara, Jack Heringer, Jack Largo, Jack Moberg, Jack Savard, Jacob Barnes, Jacob Davies, Jacob Lopez, Jake Ortega, Jake Rosander, Jake Singer, Jakob Gonzalez, James Garcia, James Goodwin, James Outman, Jared Tramontana, Jarron Silva, Jase Embry, Jason Bush, Jason Tate, Jaxon Sawyer, JC Cruz, Jeff Thoben, Jeff Zordani, Jeffrey Chandler, Jiar Donovan, Jimmy Don Fouse Jr., John Silvas, Jonas Wyatt, Jonathan Buckley, Jonathon Duarte, Jonpaul Sarro, Jordan Achay, Jordan Mora, Joseph Hamilton, Josh Bissonette, Josh Domingo, Josh Leader, Josh Palmquist, Josh Rios, Josh Stephen, Josh Walker, Joshua Speakers, Joshua Stillman, Jr, Justin Gomez, Keaton Weisz, Keenan Boyer, Kenny Lapierre, Kevin Chavez, Kevin Collard, Kevin McCann, Korey Lee, Kreighton Tsuruda-Gaspar, Kyle Garnillo, Kyle Granillo, Kyle Isbel, Kyle Koontz, Kyle Winkler, Kyler Cook, Luke Watson, Marcos Campos, Marcos Flores, Mathew Whitney, Matt Carrigg, Matt Frazier, Matt Freeman, Matt Green, Michael Benson, Michael Guzman, Michael Jones, Mickey Walker, Miles Sandum, Mitchell Hayes, Mitchell Kilkenny, Nathan Gentry, Nic Sandoval, Nick Bellafronto, Nick Hernandez, Nick Poirier, Nick Shumpert, Parker White, Patrick Dayton, Paul Estrada, Paul Gomez, R.J. Peace, Raul Rizzo, Reggie Lawson, Richard Reynoso, Rickie Garcia, Ricky Conti, Ricky Rivera, Ripken Keys, RJ Cordero, RJ Perkins, Roger Ingram., Ryan Fineman, Ryan Jensen, Ryan Pollinger, Ryan Sharek, Ryan Sullivan, Rylan Cratsenberg, Rylie Widell, Sam Neufeld, Shane Martinez, Sheldon Borson, Sid Iyer, Stephen Gingery, Steve Robinson, Tanner Knapp, Tim Nelson, Trae Erikson, Travis Hawkins, Travis Moniot, Trevor Lamach, Trevor Mallet, Tristan Beck, Tyler Gums, Tyler Madrigal, Tyler Murray, Tyler Page, Tyler Pinkston, Tyler Thorington, Vincent Byrd Jr, Vinny Marigotta, Wade Niederhauser, Willits, Willy McMullen, Wyatt Adams, Wyatt Cross, Yeager Taylor, Zach Barnes, Zach Kohn, Zachary Miller, Zack Moeller, Zechariah Jarrard on July 30, 2014 by Team One Baseball.